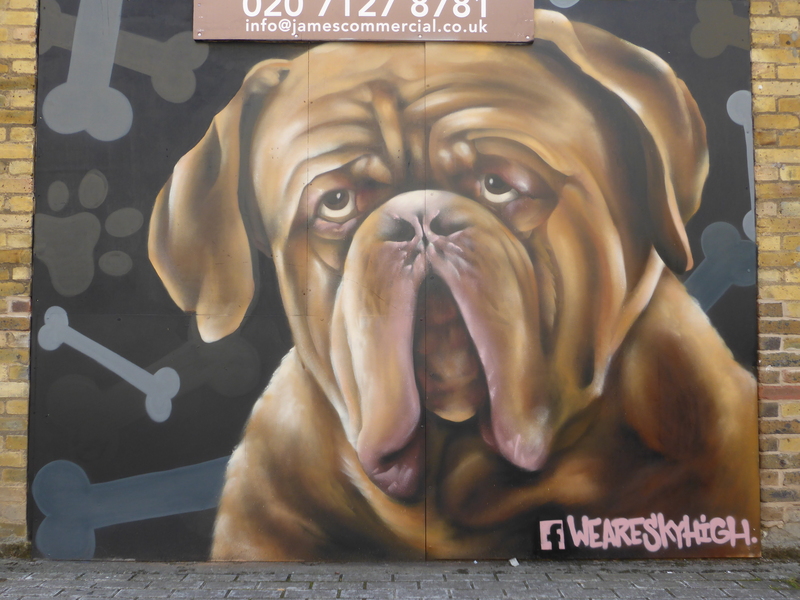 This morning in our series of reviews of the last year we are going to take a look back at the year of Street Art and Graffiti in Croydon. 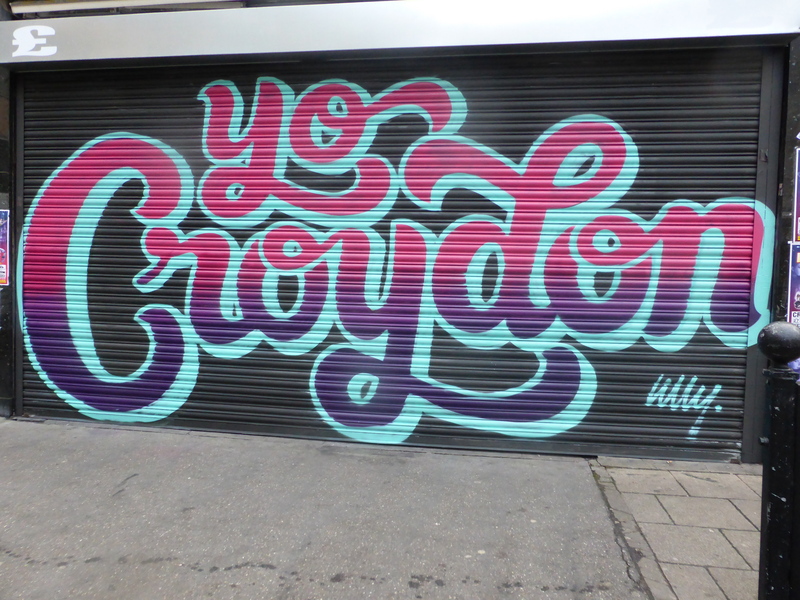 It’s been a fantastic year in Croydon and we have to say has been one of our favourite places to visit it this year for varying reasons. 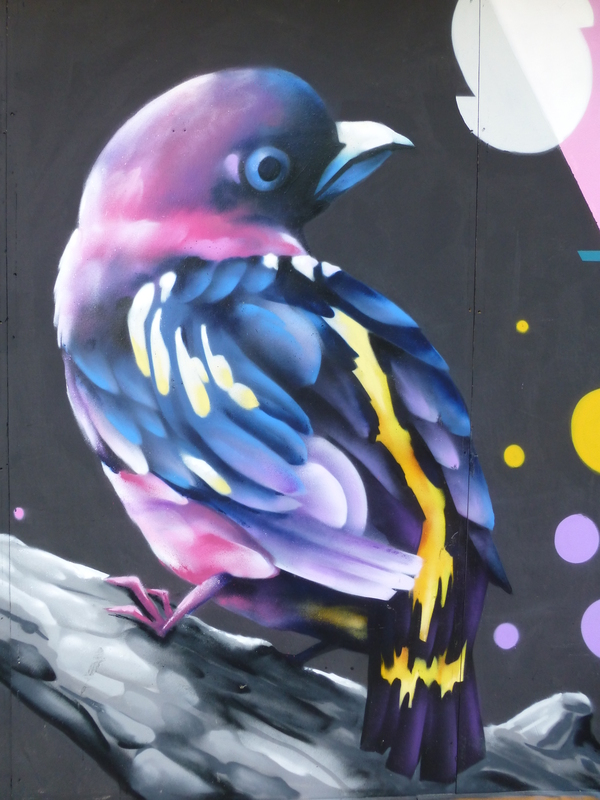 Firstly it is local, secondly it is great to see Street Art in more places in London, thirdly and most importantly because the area has played canvas to a host of our favourite artists and introduced us to several more, whose work we have not seen elsewhere at current. 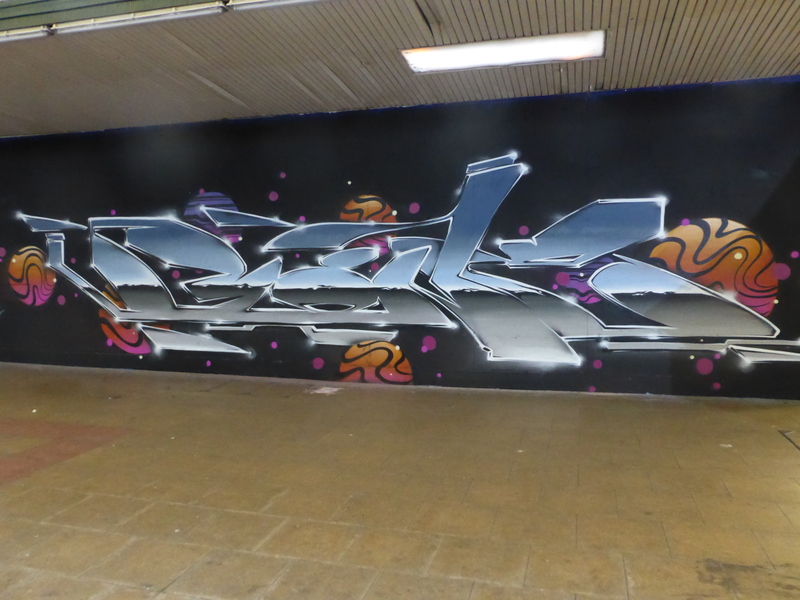 In February Femme Fierce Croydon took place, with the all female event organized by Ayaan Bulale put on a Paint Jam in a prelude to the main Femme Fierce Reloaded event at Leake Street on March 8th. 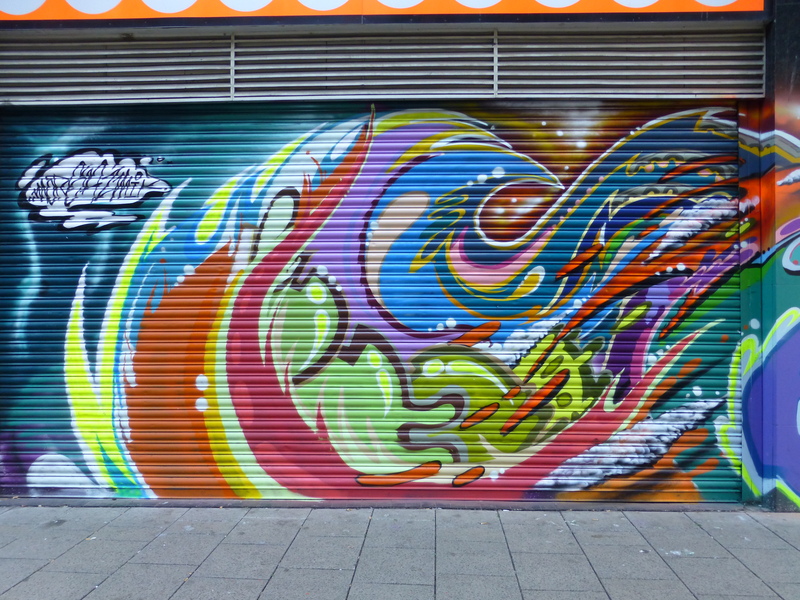 In all twenty-six pieces were painted across the walls, shutters and hoarding in the Arts Quarter on the day, really adding a massive dose of beauty and colour to this little block in Croydon. 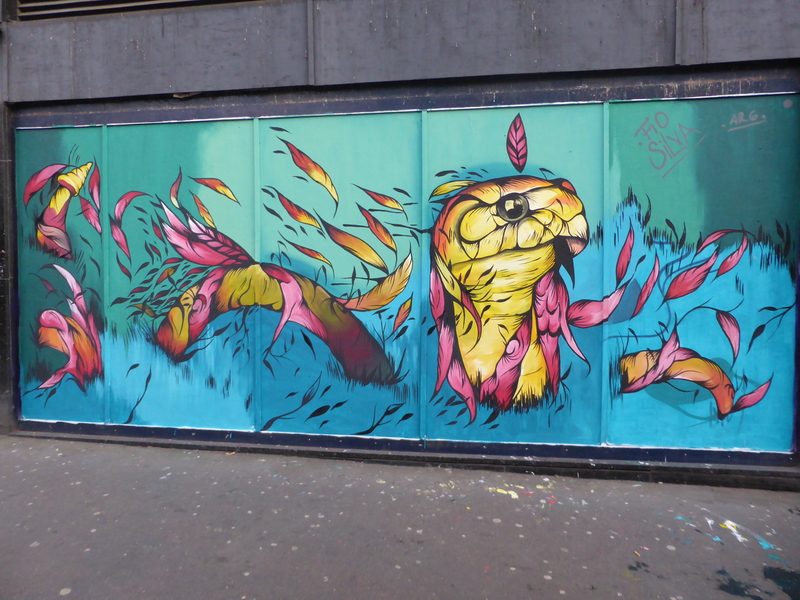 For the remainder of the year Croydon consistently provided a steady series of fresh works coming and going around the Arts Quarter. 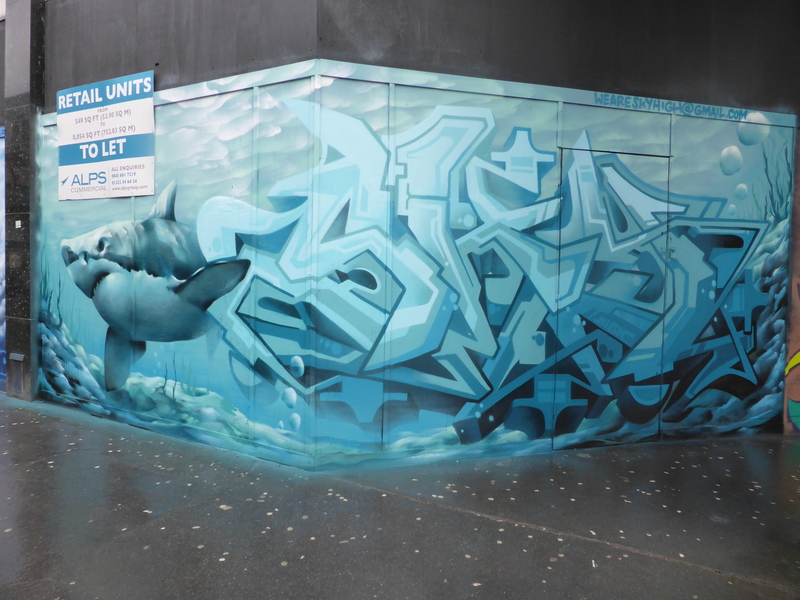 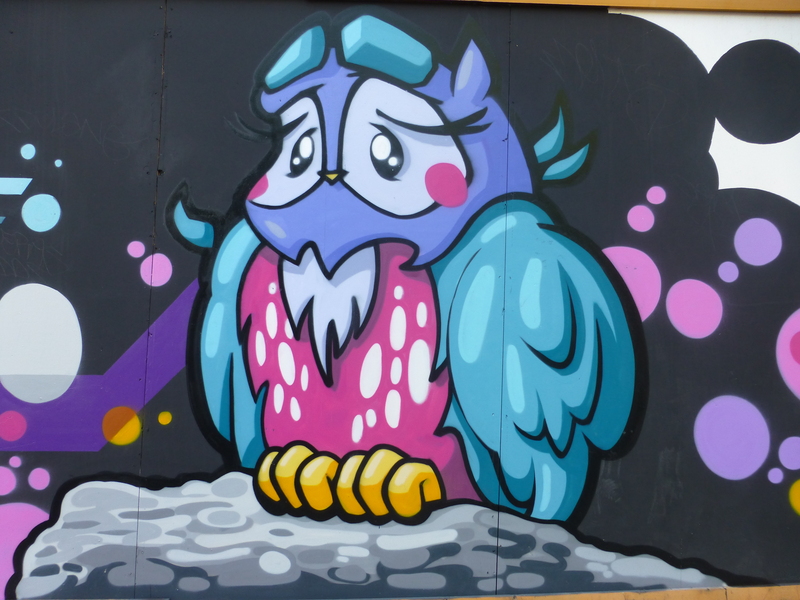 We have seen many impressive works in Croydon over the last year, and particular highlights have been the many fantastic works from seen from Morgandy & Eska, who really have done alot for Croydon this year, painting several wonderful pieces together and apart. 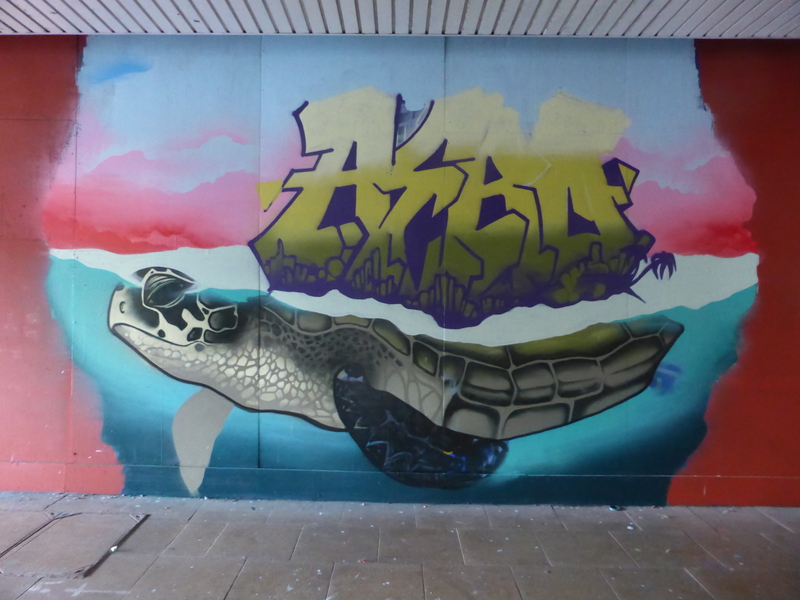 The Femme Fierce Croydon event, our first Paint Jam and a day with great art and a great atmosphere, highlights of the day were works from Aylo & Cbloxx, Pang, Amara Por Dios, Giusi Tomasello and Zina. 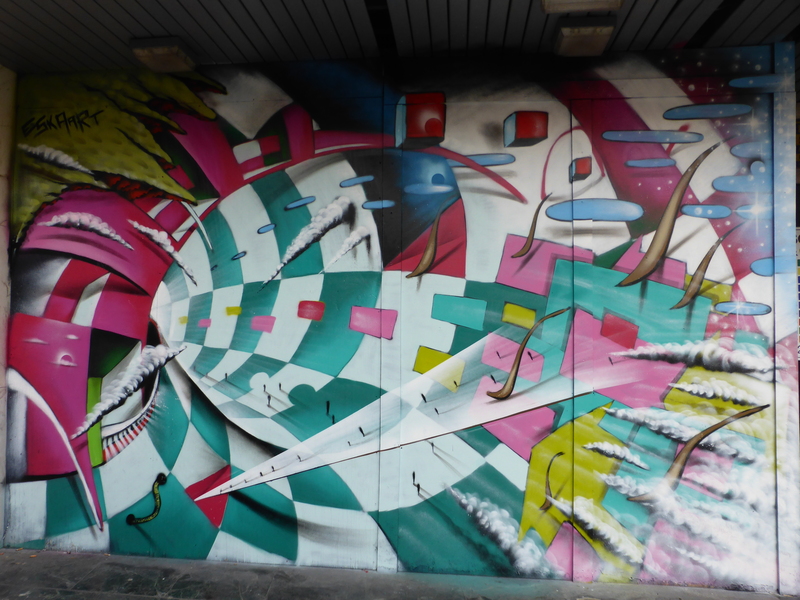 Additionally we have loved the pair of works from Mr Cenz last year, SkyHigh’s shark piece, Fio Silva painting her first UK wall and Dotmasters pair of characters. 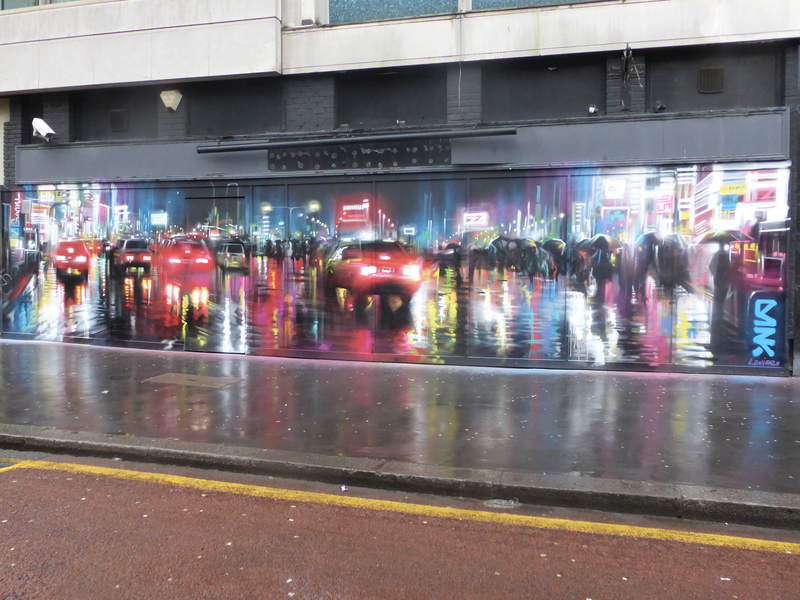 However our favourite work this year from Croydon goes to not one, but three pieces, all by Dan Kitchener with his trio of ‘Liquid Lights’ works in Park Street. 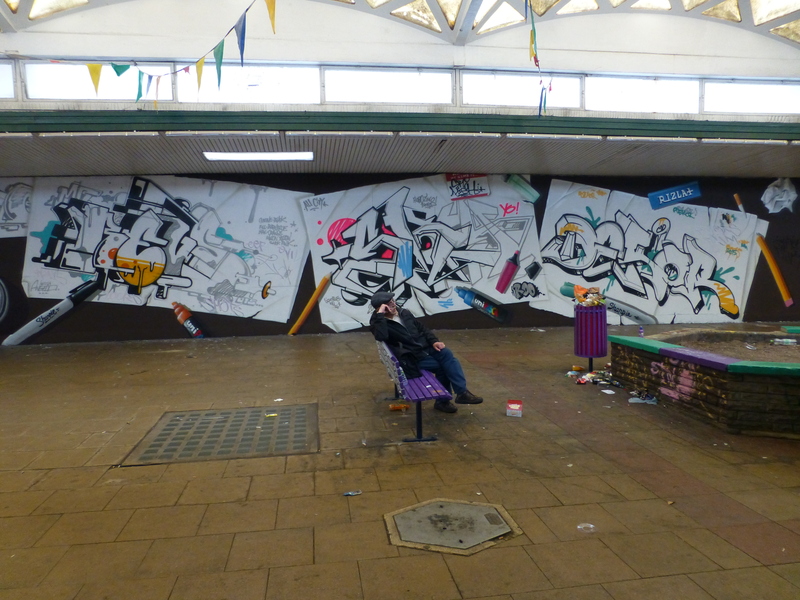 So without further ado here is a year of London Calling Blog visits to Croydon through 2015. 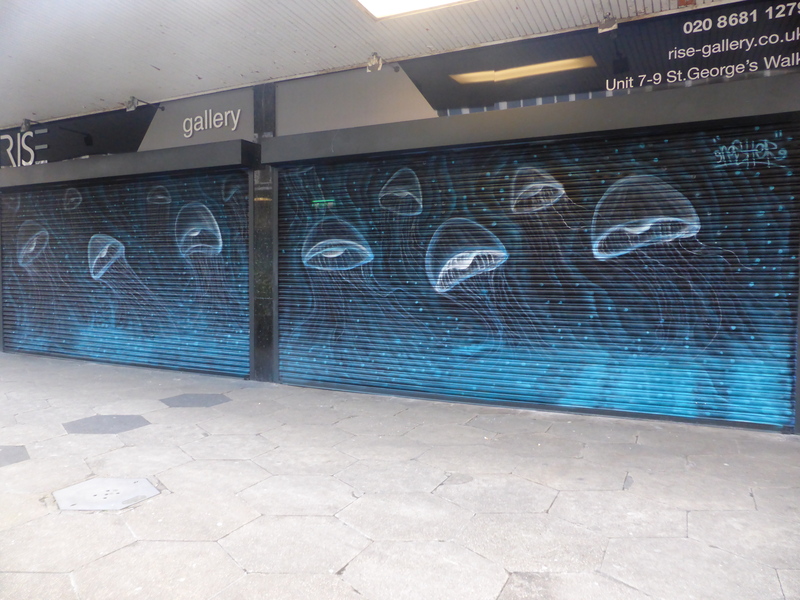 Work by Eska & Morgandy kicking of the year in Croydon and one of the very first works to go up in the then recently established Arts Quarter. 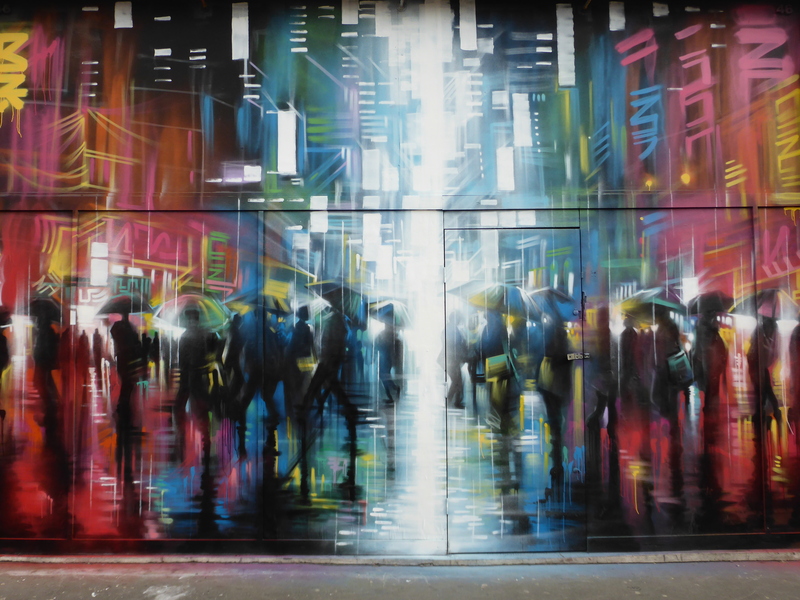 Work by Dan Kitchener. 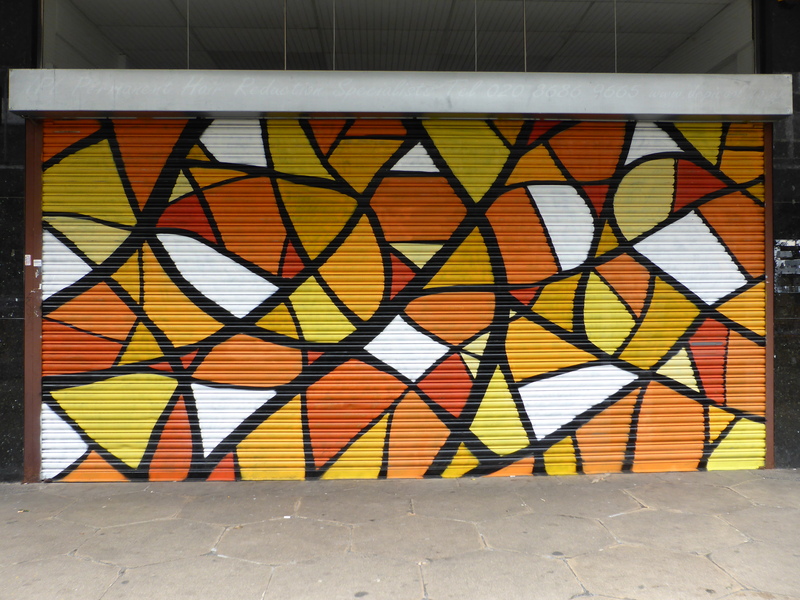 You can view the post we did on this work (covered here). 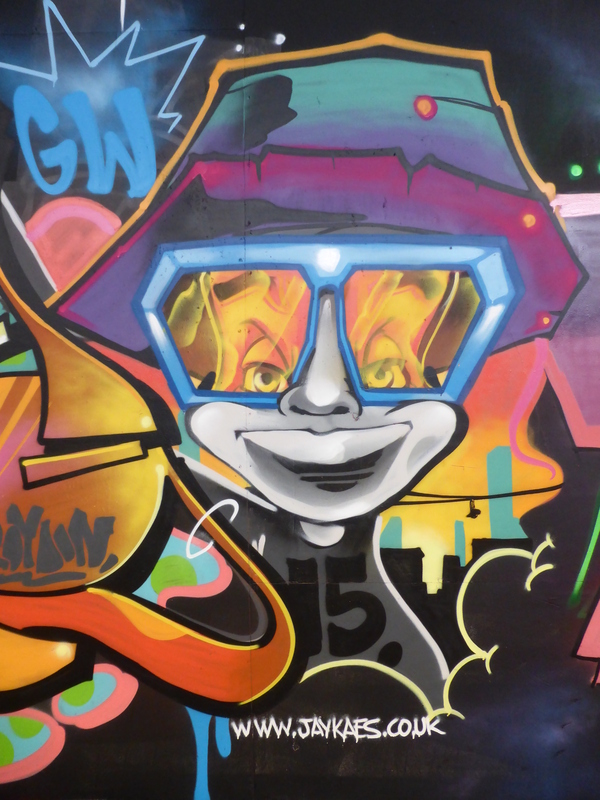 Work by Vanesa Longchamp for Femme Fierce Croydon. 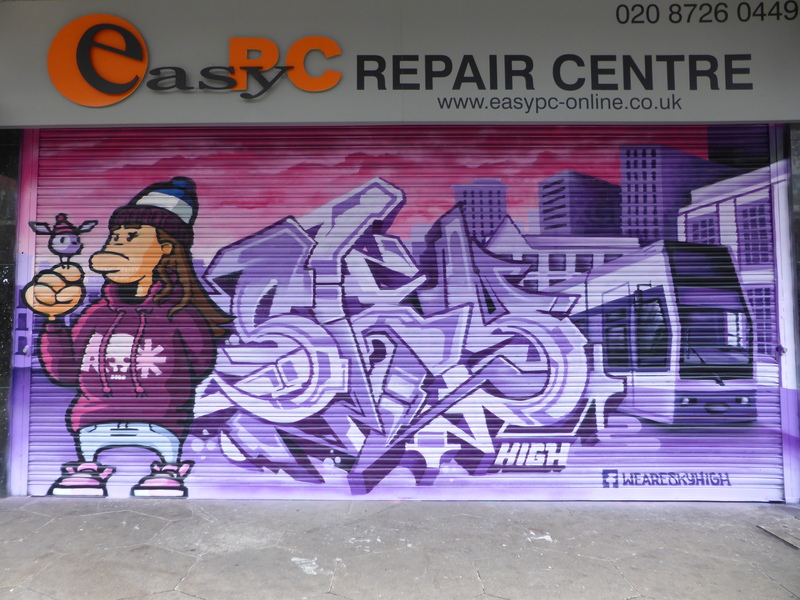 You can view more images and some progress shots in our post on the whole day at Femme Fierce Croydon (covered here). 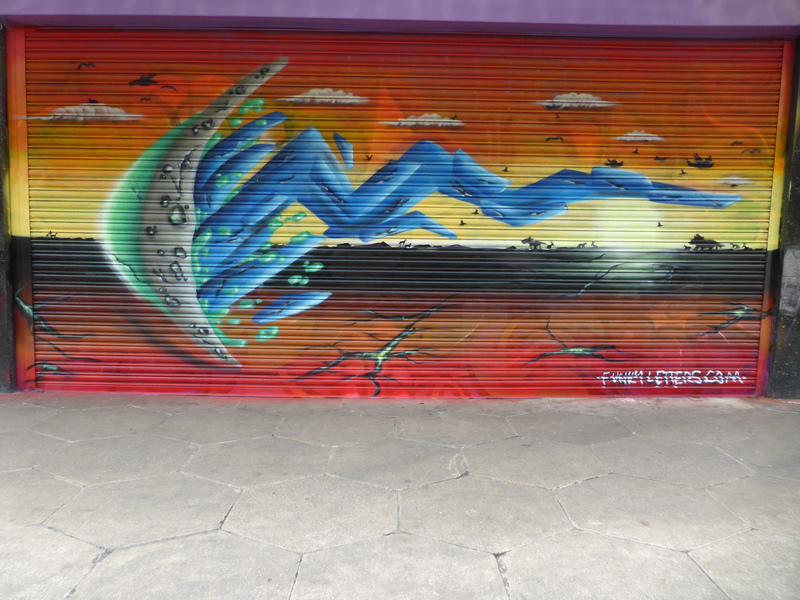 Work by Miss Hazard for Femme Fierce Croydon. 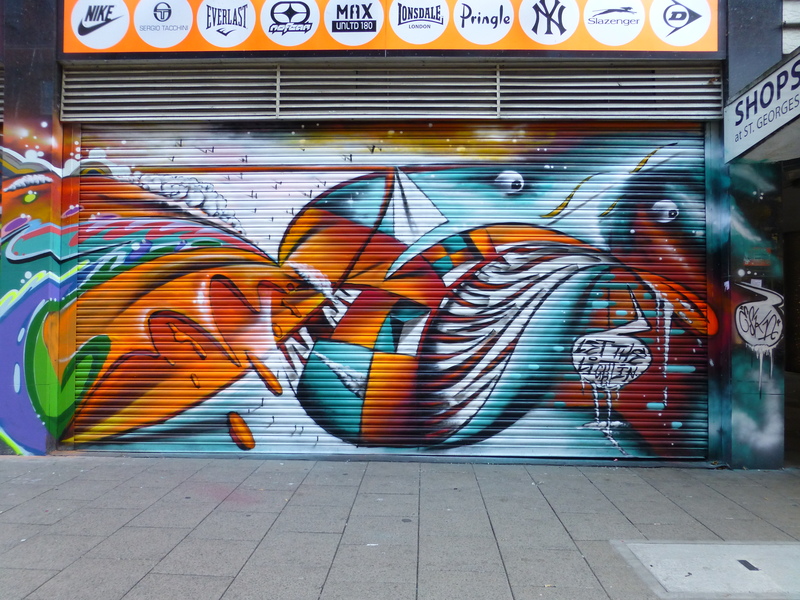 Work by Neonita for Femme Fierce Croydon. 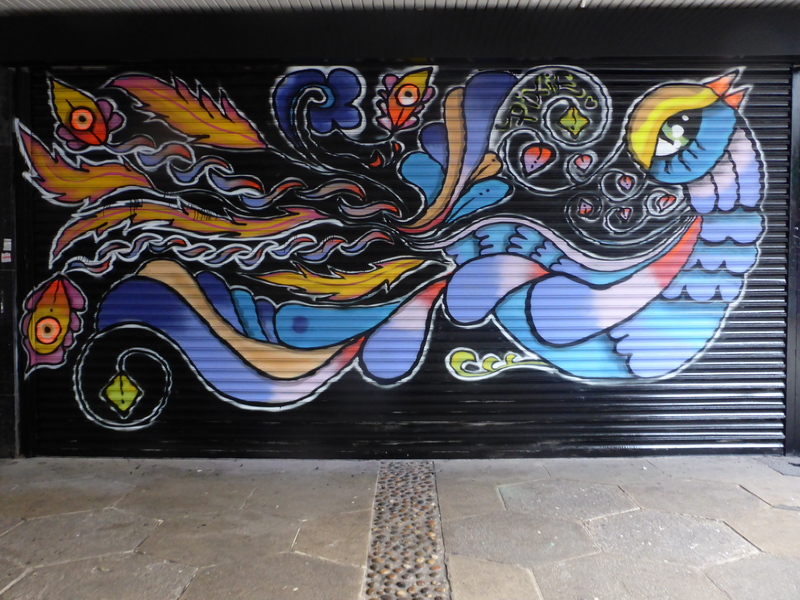 Work by Pixie for Femme Fierce Croydon. 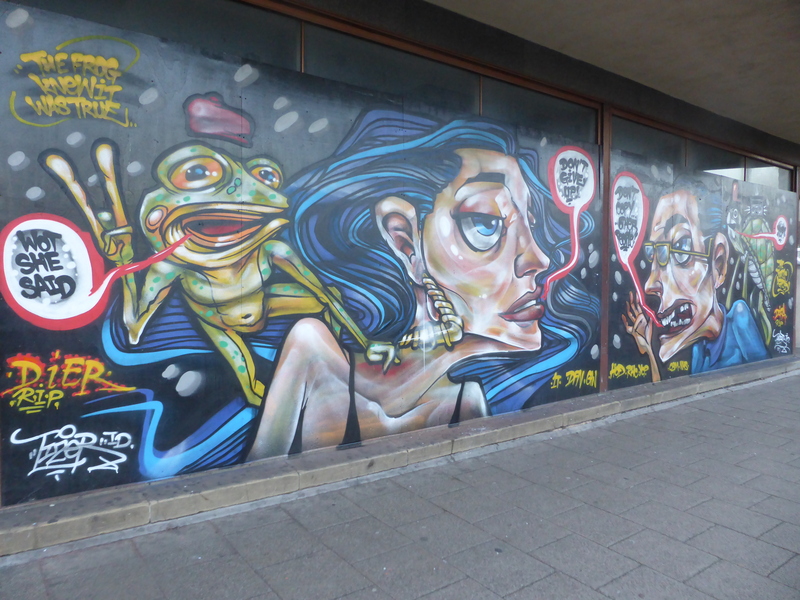 Work by Fane for Femme Fierce Croydon. 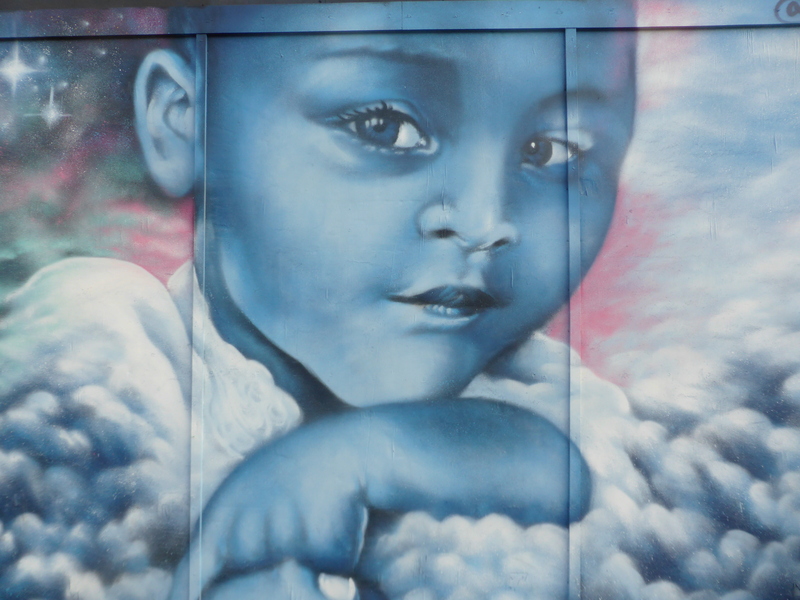 Work by Adriana Doi for Femme Fierce Croydon. 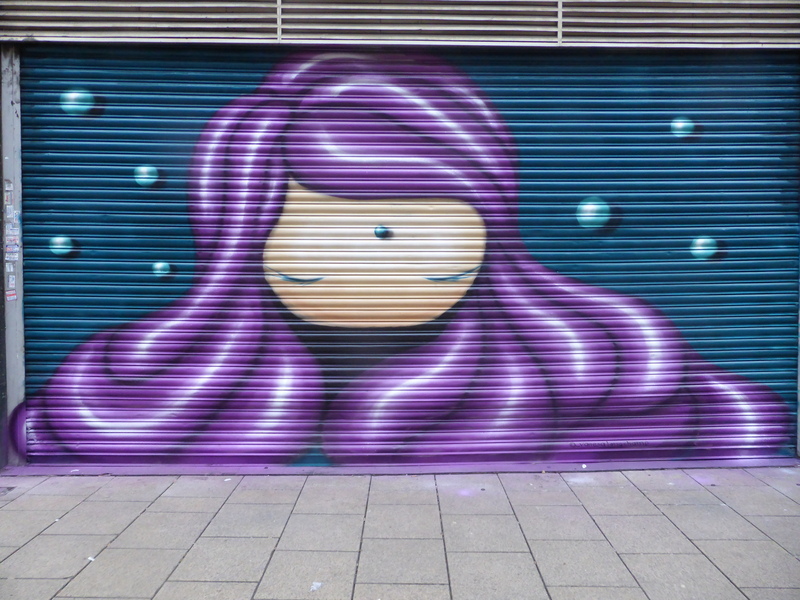 Work by Roo for Femme Fierce Croydon. 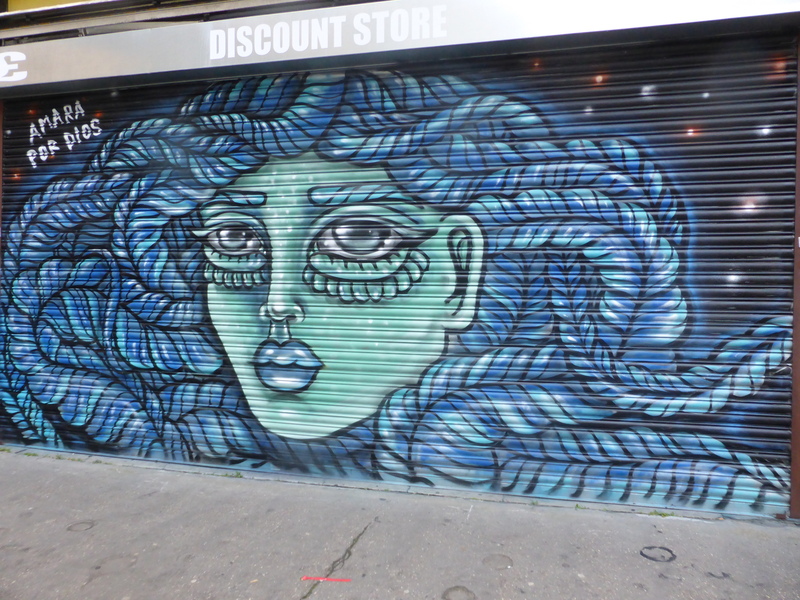 Work by Thieu for Femme Fierce Croydon. 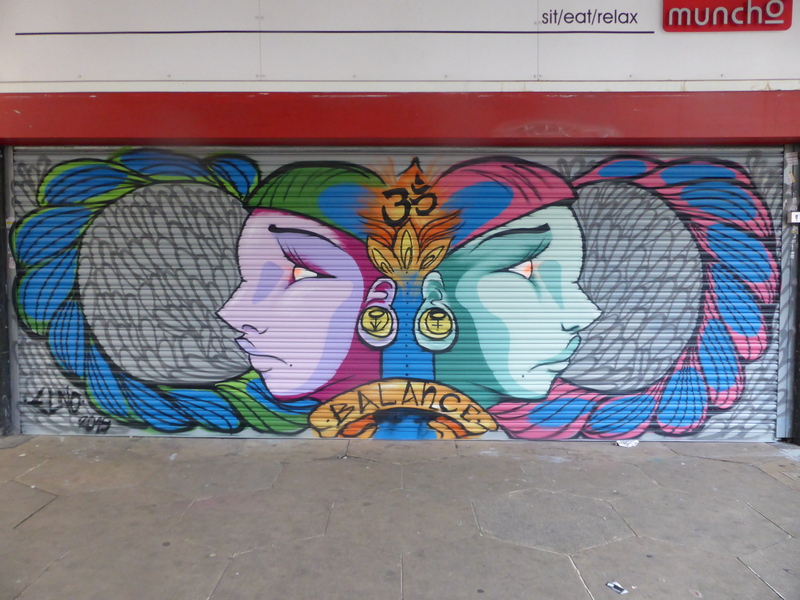 Work by Elno for Femme Fierce Croydon. 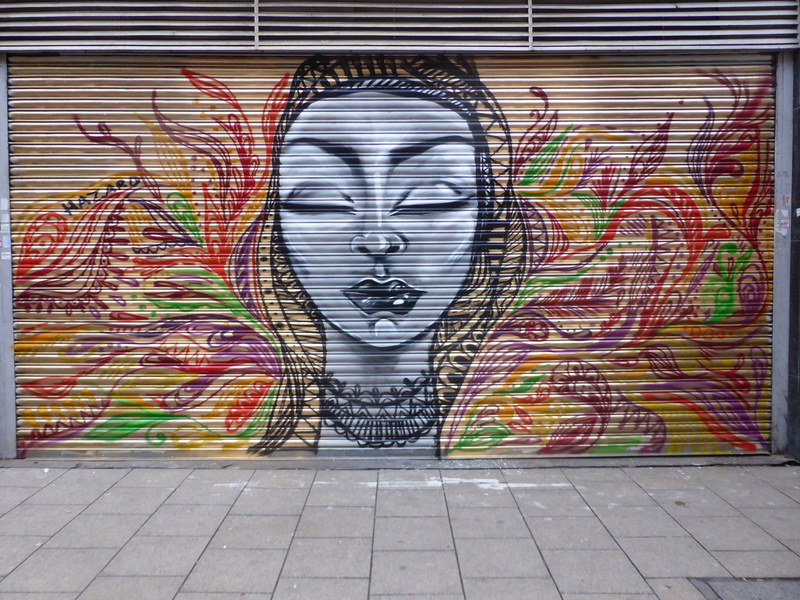 Work by Zina for Femme Fierce Croydon. 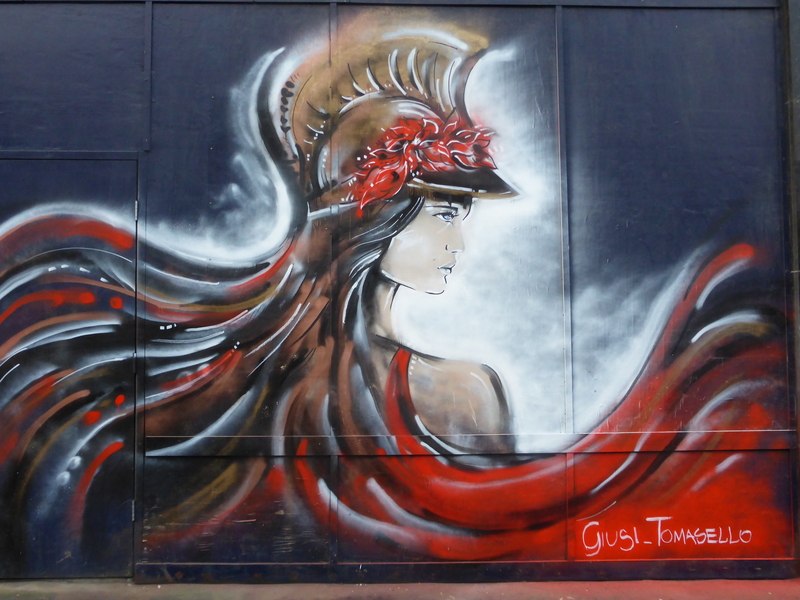 Work by Giusi Tomasello for Femme Fierce Croydon. 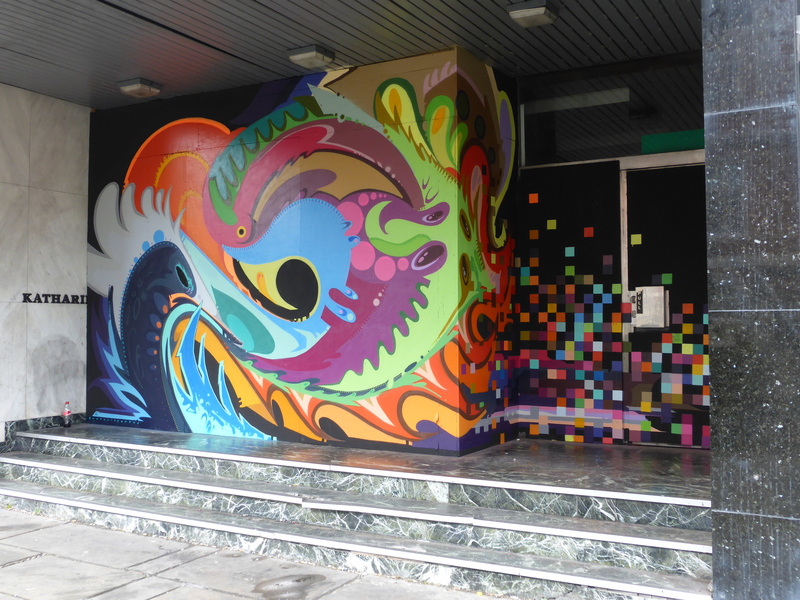 You can view more images and some progress shots in our post on Giusi Tomasello at Femme Fierce Croydon (covered here). 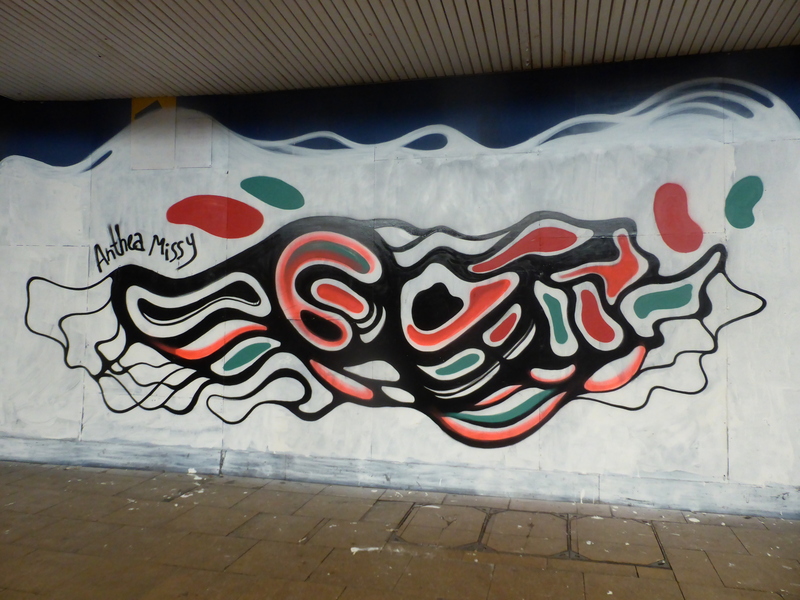 Work by Maggio for Femme Fierce Croydon. 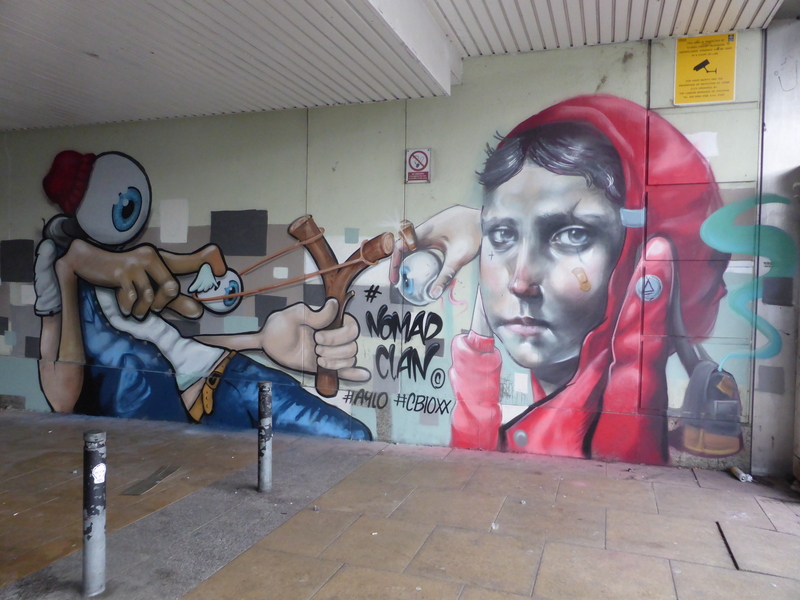 Work by Aylo & CBloxx of the Nomad Clan for Femme Fierce Croydon. 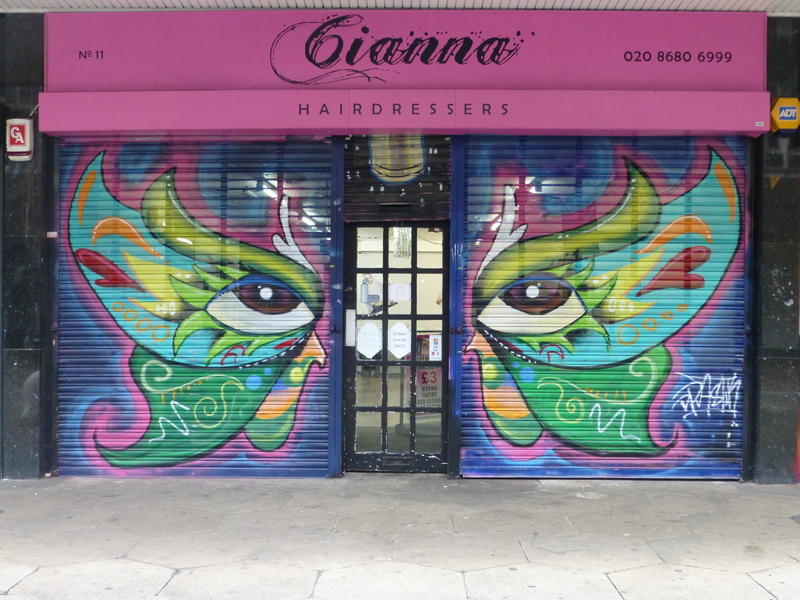 You can view more images and some progress shots in our post on Giusi Tomasello at Femme Fierce Croydon (covered here). 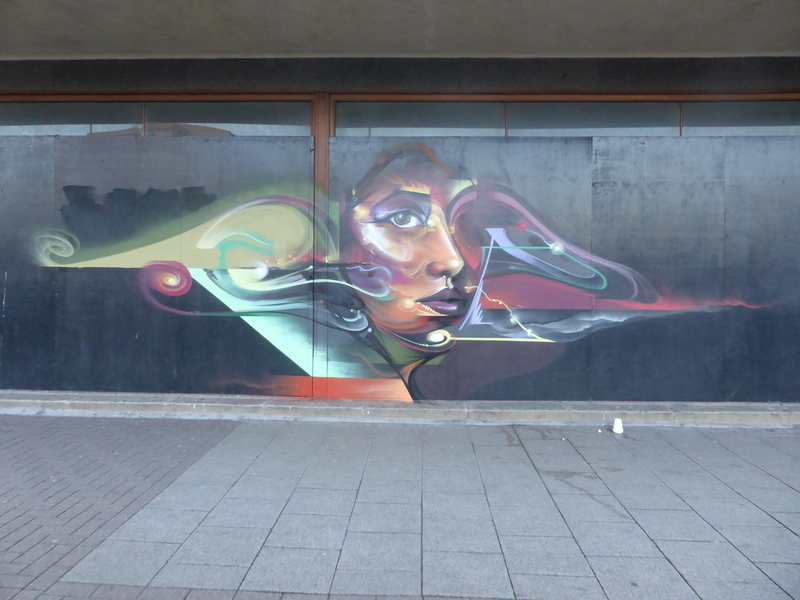 Work by Pang (part one) for Femme Fierce Croydon. 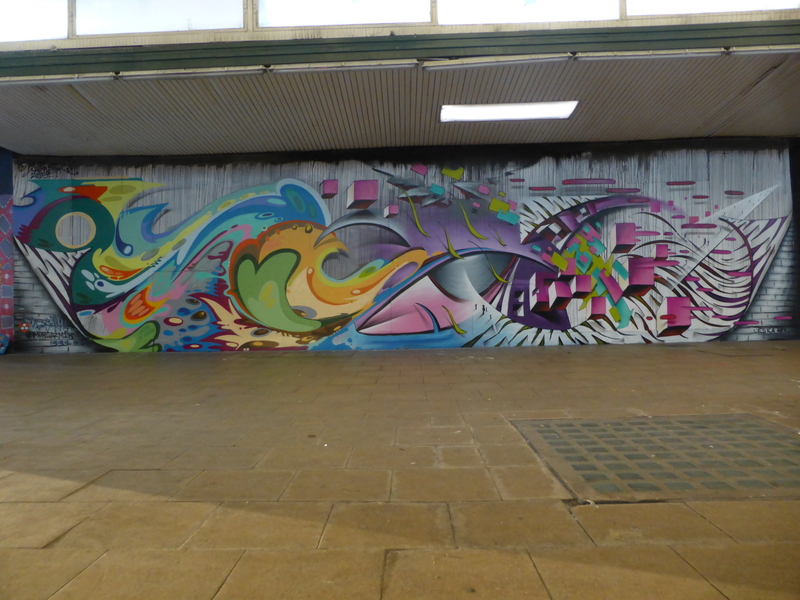 Work by Pang (part two) for Femme Fierce Croydon. 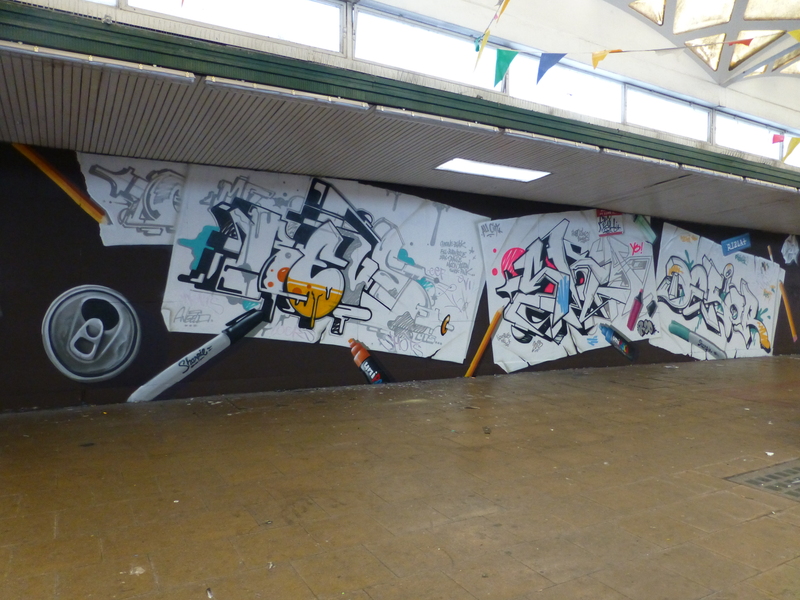 Work by Float for Femme Fierce Croydon. 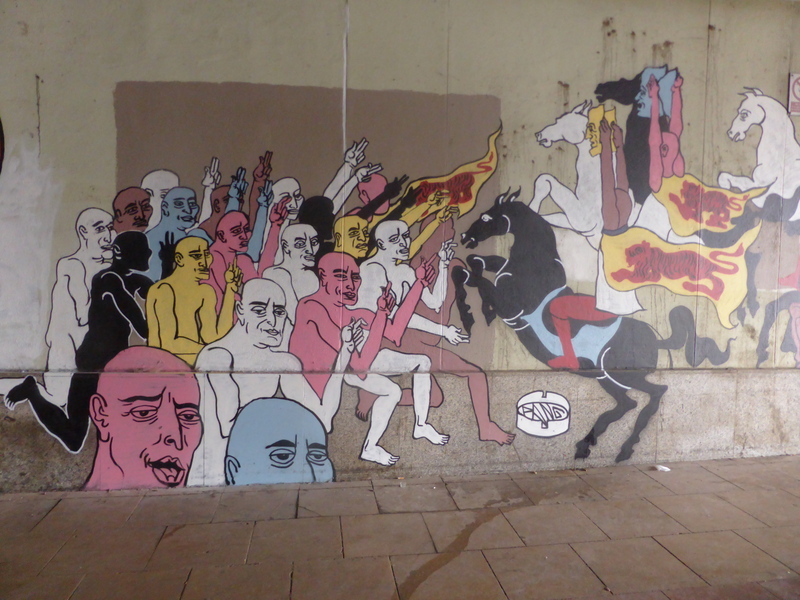 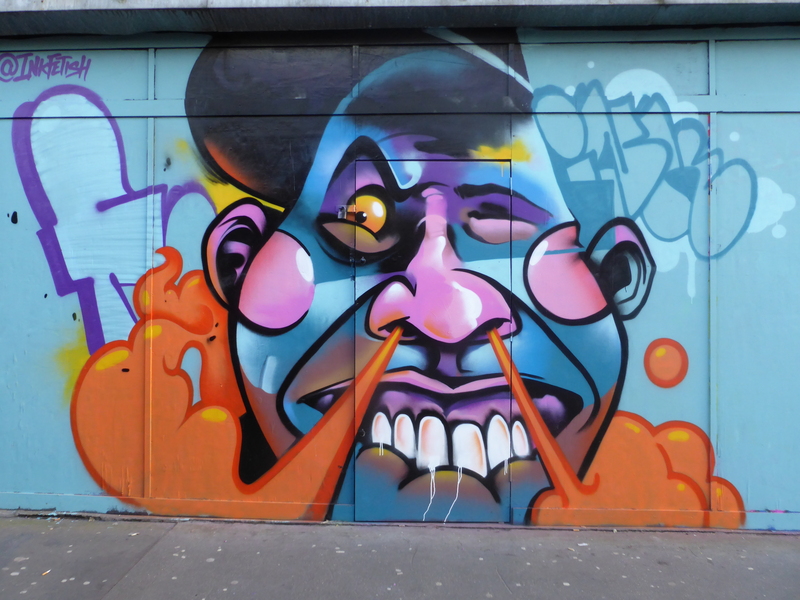 Work by Morgandy & Eska. 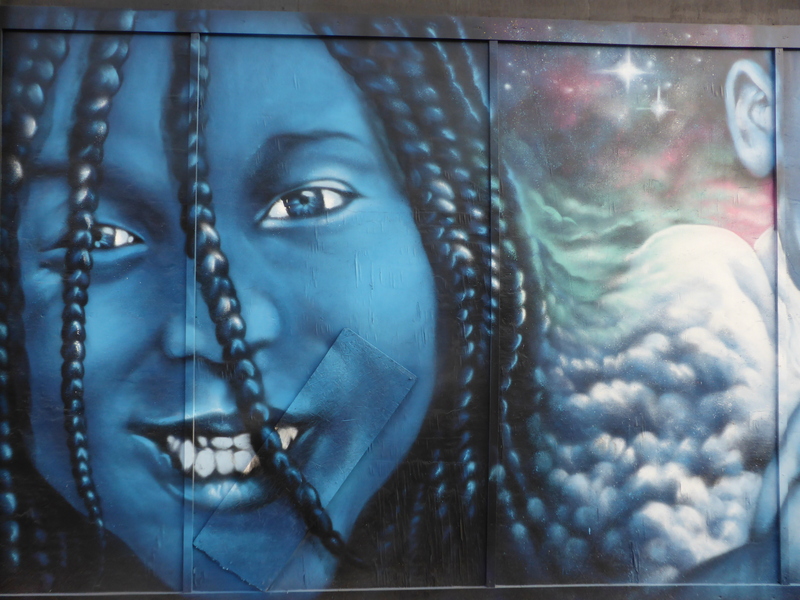 Detail of work by Morgandy & Eska. 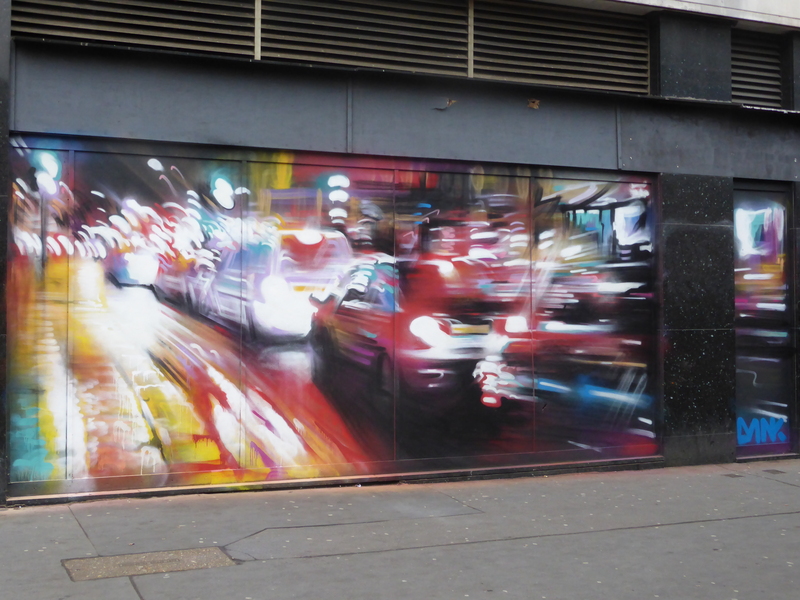 Excellent work by Dan Kitchener, still up to see and our favourite from a year of great Street Art in Croydon. 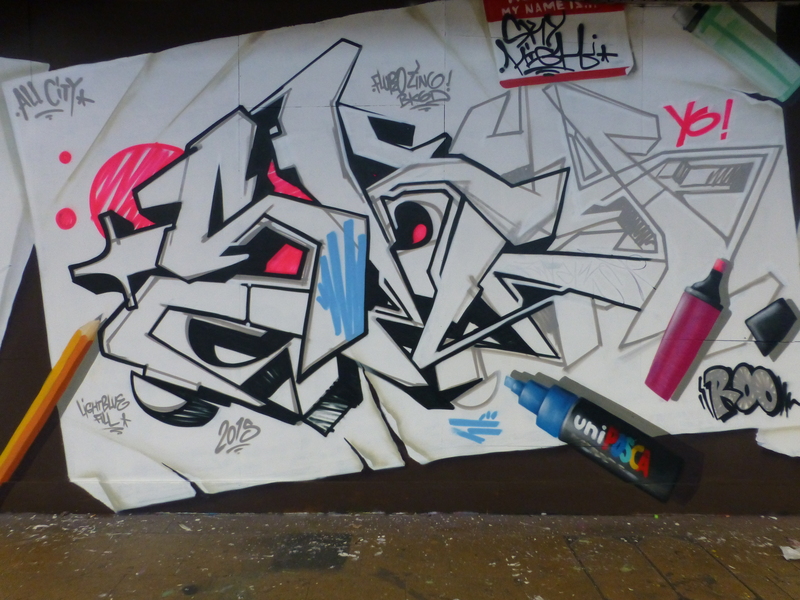 You can view more images and some progress shots covering the whole process in our post on this piece (covered here). 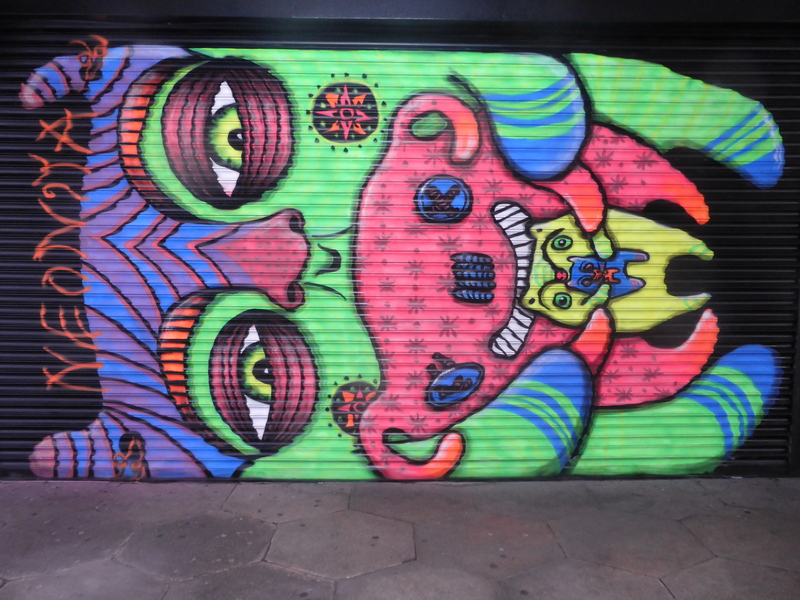 Vibrant work by visiting Argentinian artist Fio Silva. 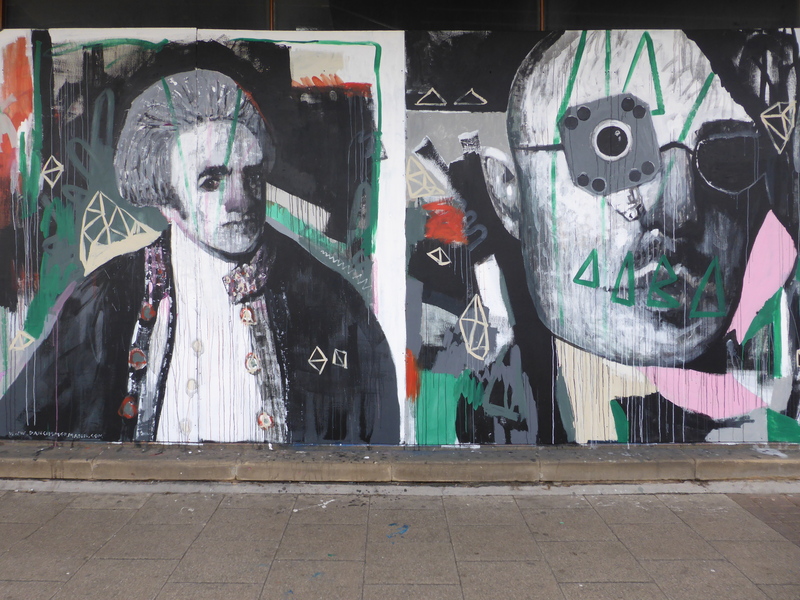 You can view more images and some progress shots in our post on Fio Silva’s London visit where she painted 5 works in 5 days (covered here). 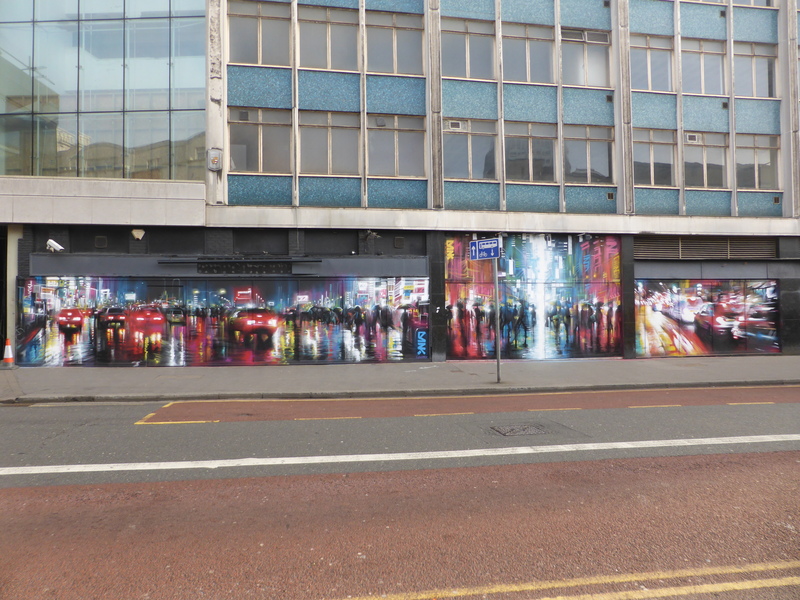 Stunning trio of works by Dan Kitchener in Croydon, still to be seen intact and still currently one of the best sections of wall in the whole of London. 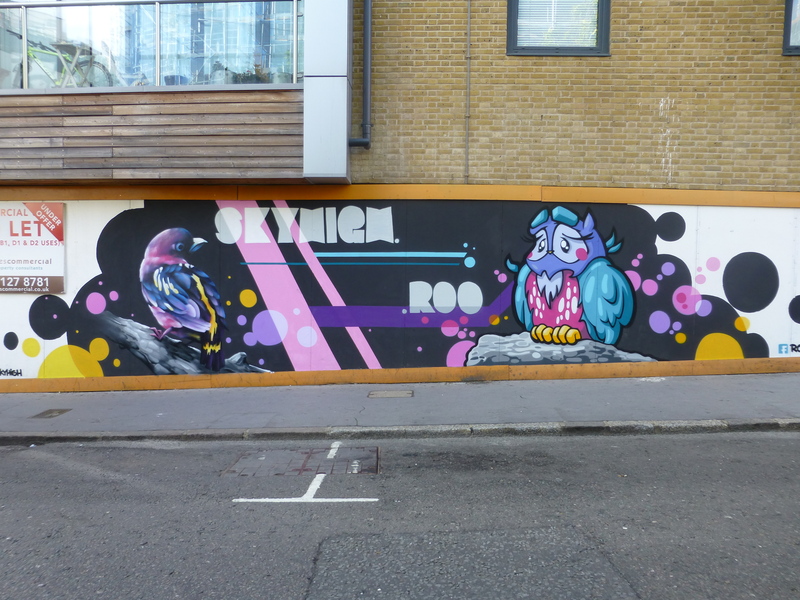 Work by Roo & SkyHigh. 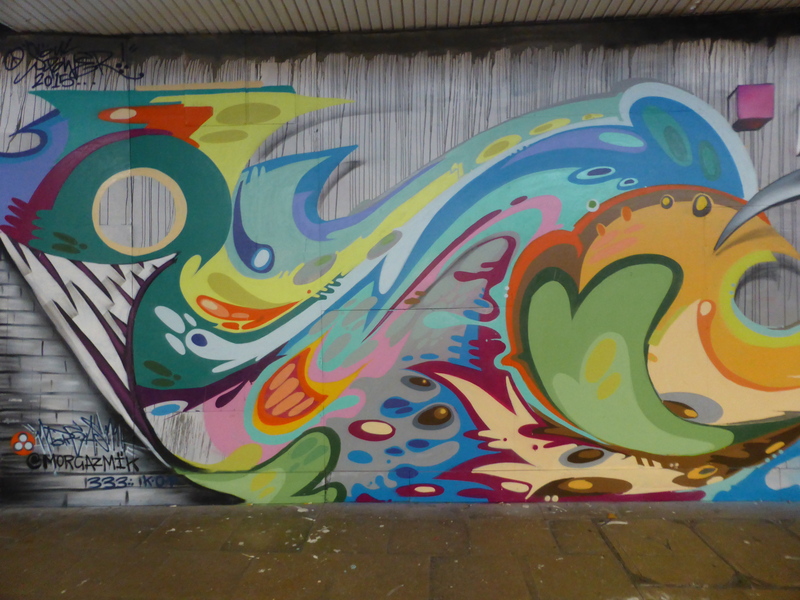 Bright and organic work from Morgazmik on Katherine Street. 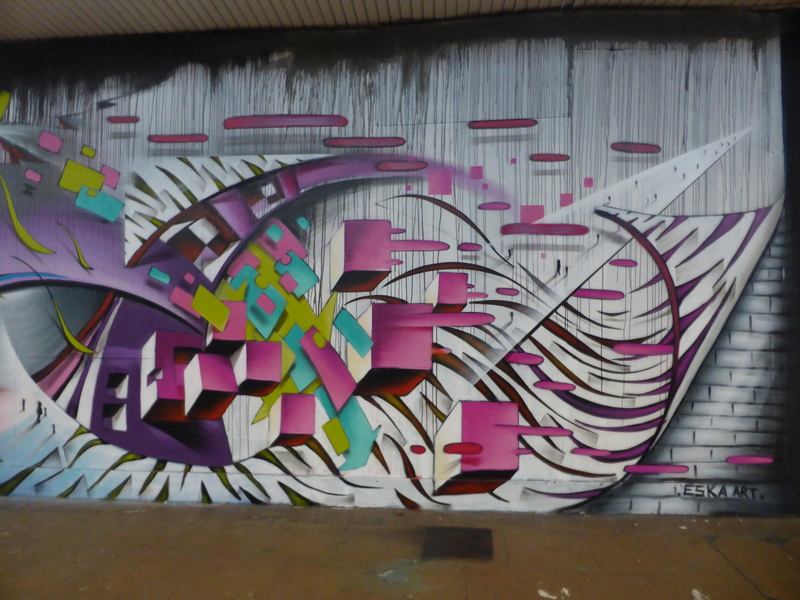 Work by Soma aka Tony Driver. 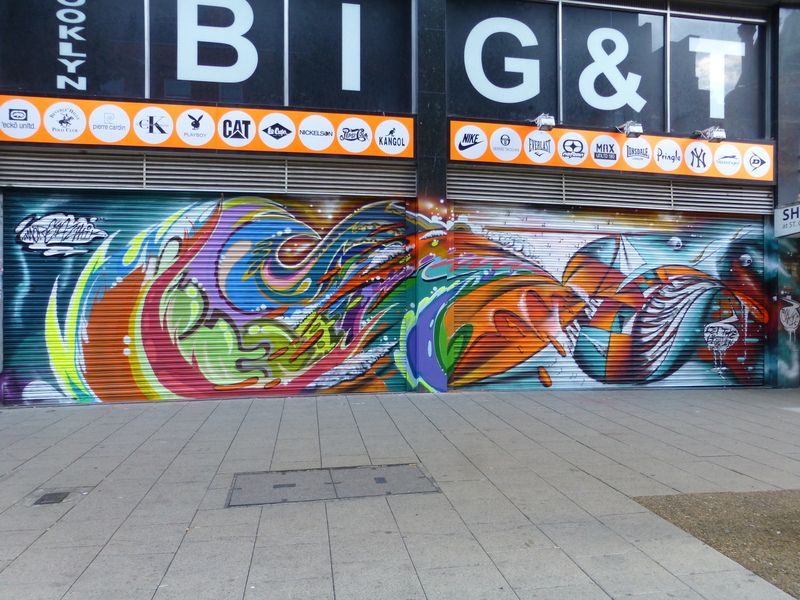 Croydon’s Arts Quarter awash with Street Art as far as the eye can see. 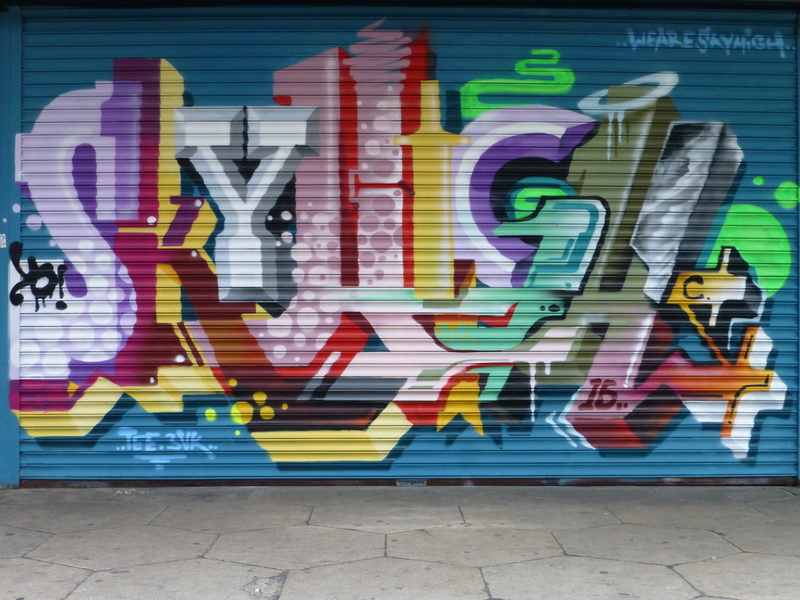 Work by Healthy Living Project. 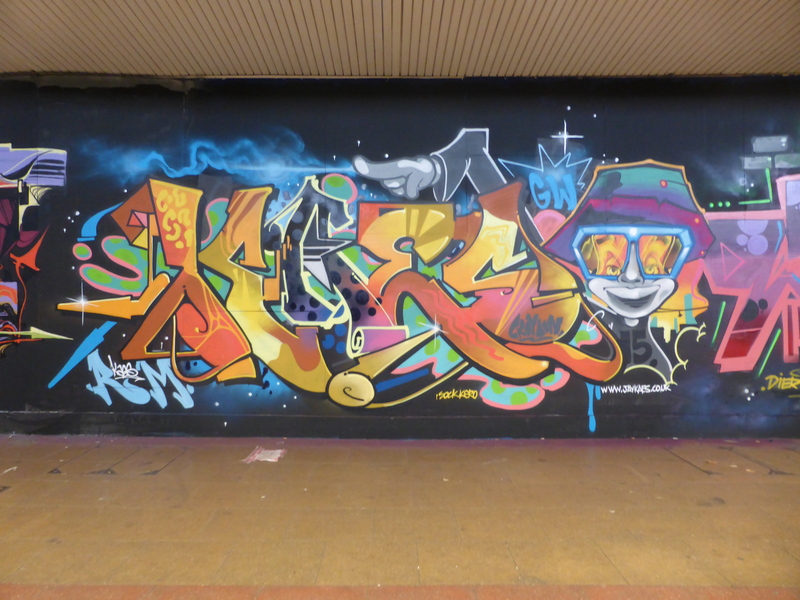 Excellent trio of orks by ??? 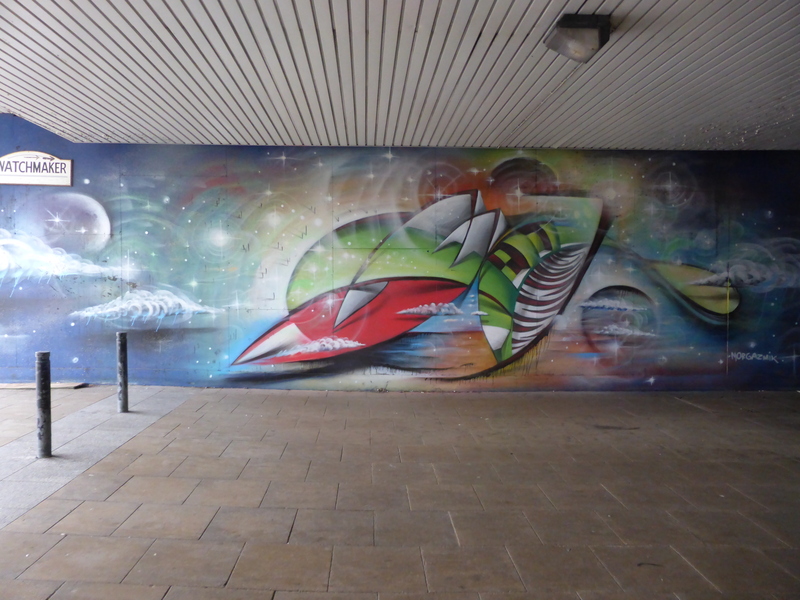 ?, SkyHigh & Decor on the Arts Quarter Legal Walls. 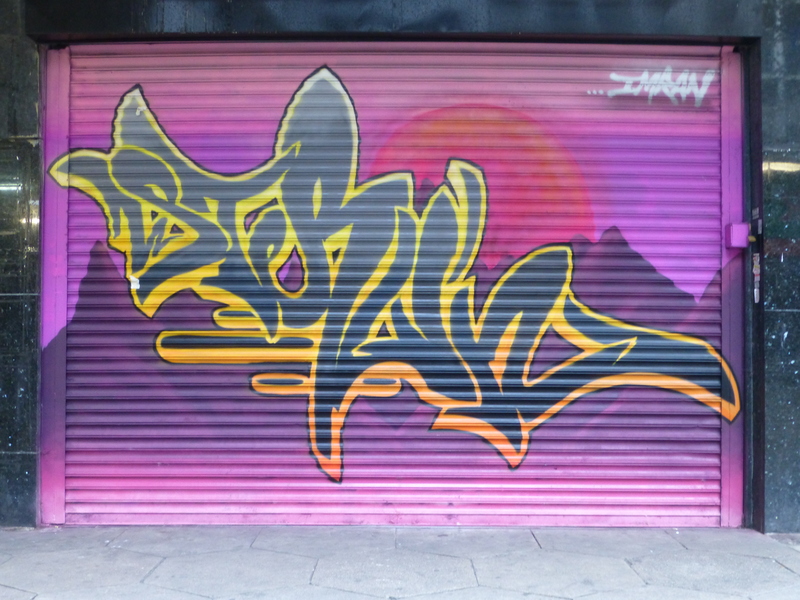 This is one of the best pieces of Graffiti we have yet to see here at London Calling Blog, fortunate as the works on these walls changed daily. 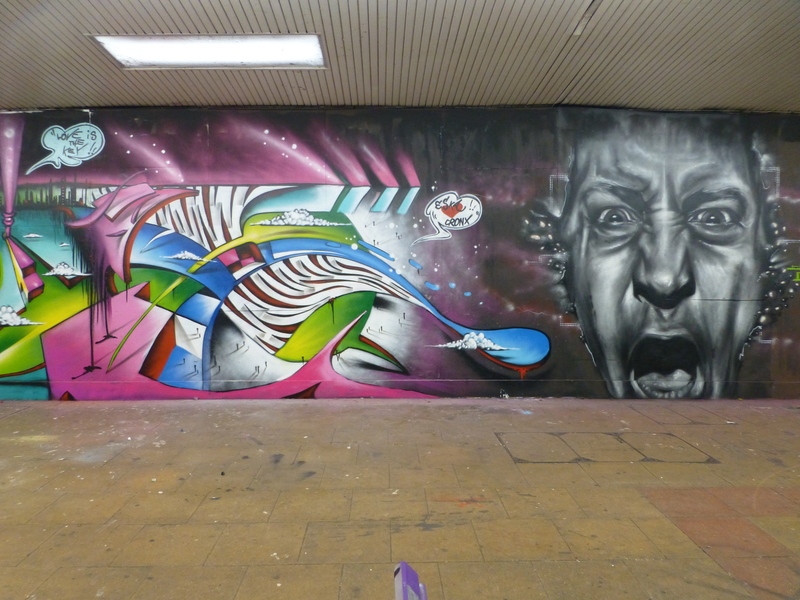 Excellent work by Morgandy & Eska. 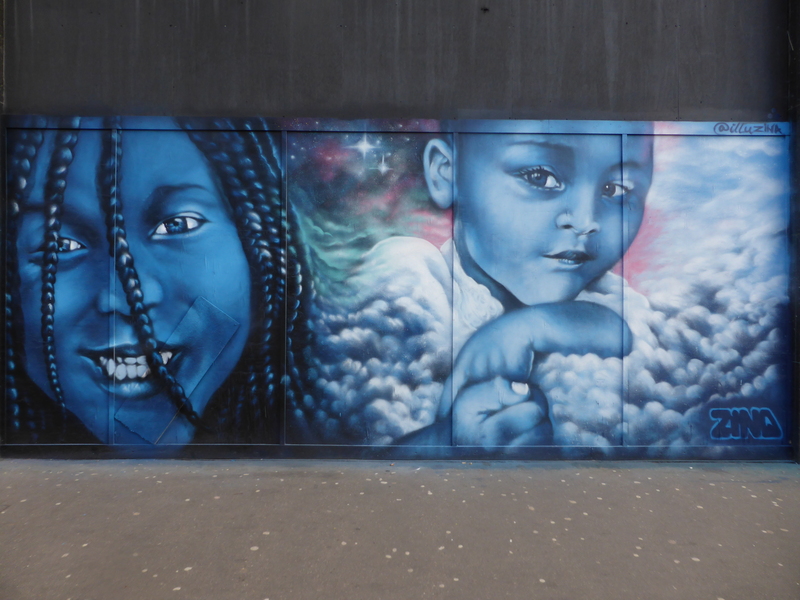 Superb pair of works by Eska & Trans1 in Croydon, on the Arts Quarter Legal Walls and only lasting the day. 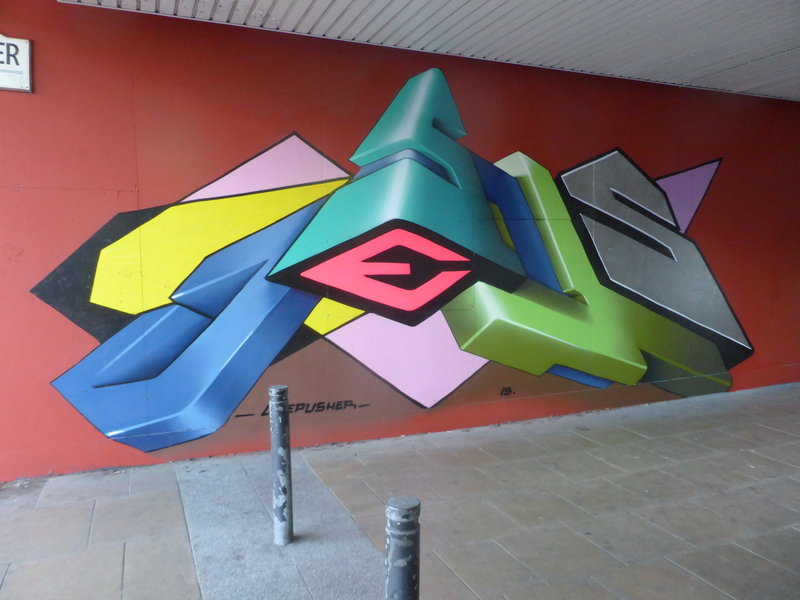 You can view more images and some progress shots in our post on these pieces (covered here). 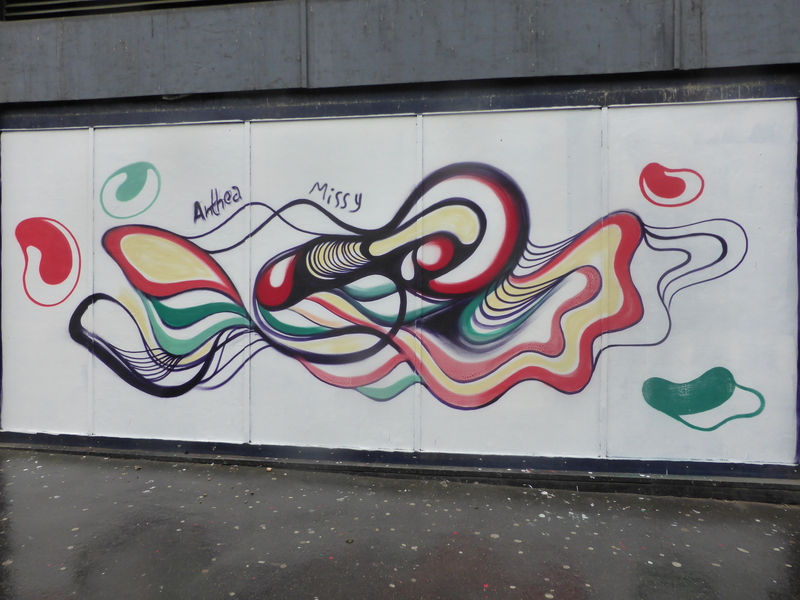 Lovely organic flowing work from Morgandy of the Minesweeper Collective..
Great work by Illustre Feccia of the Minesweeper Collective. 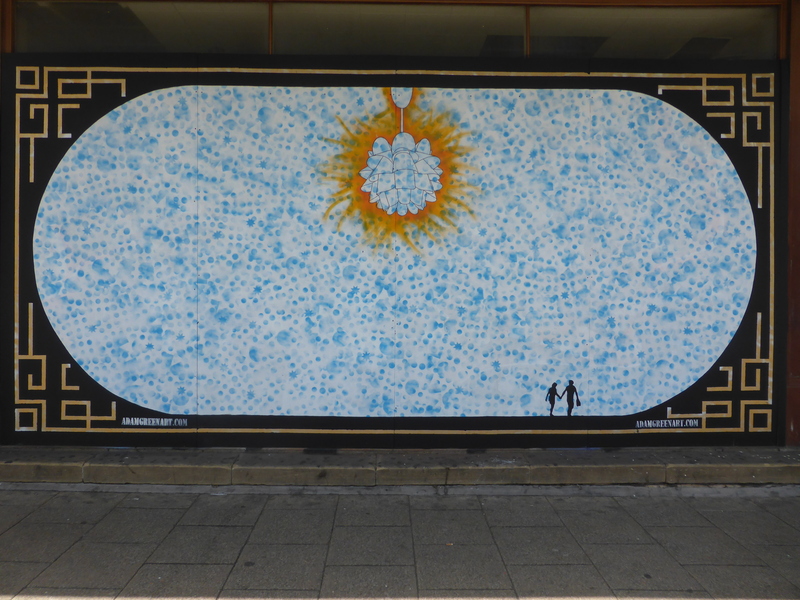 Work by Enrico Cornuda of the Minesweeper Collective. 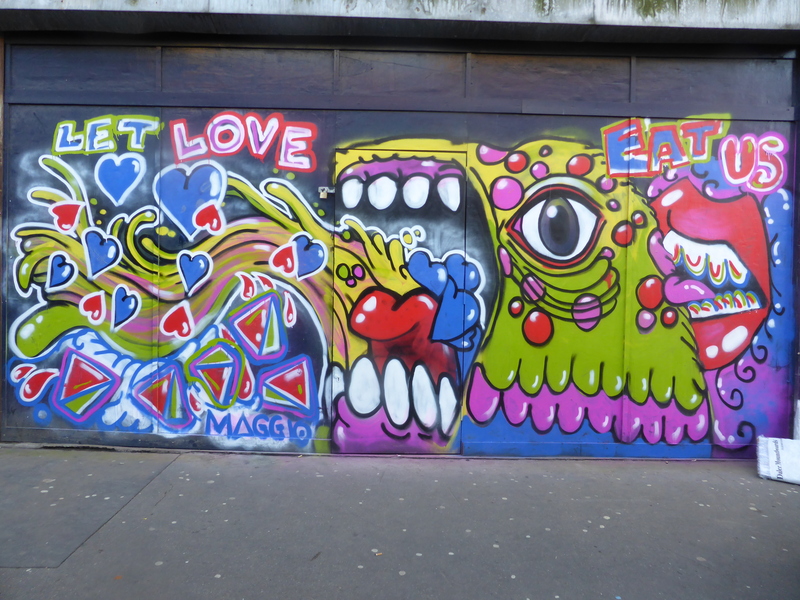 ‘Just Be You Tiful’ by Rich Simmons. 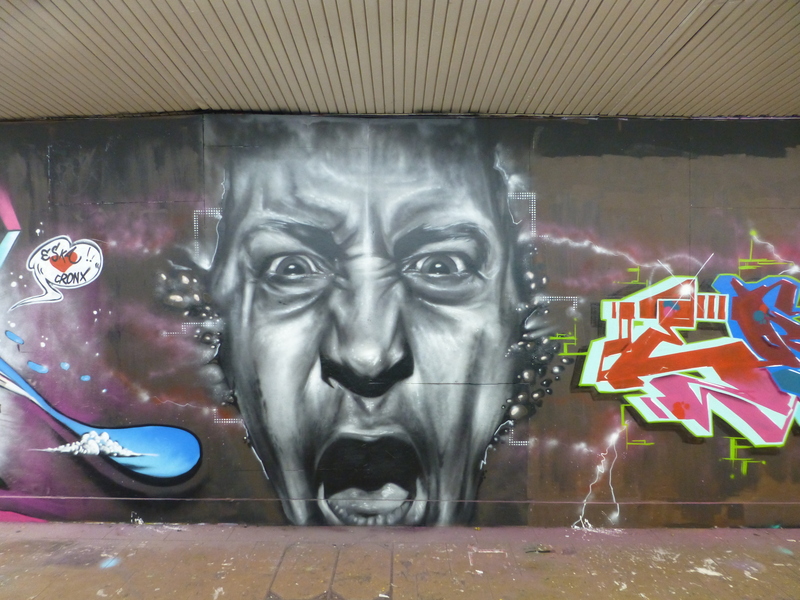 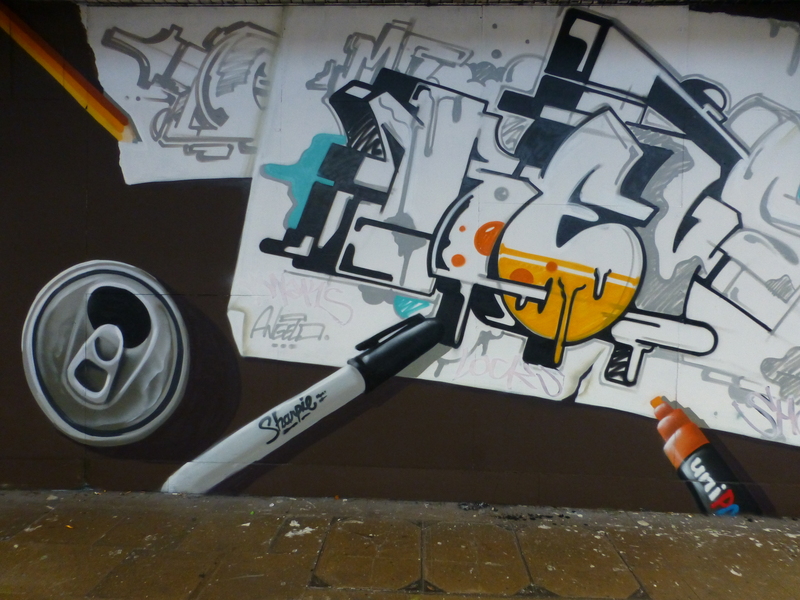 Trio of Graffiti works from JuseOne, Tizer & BronkHRC. 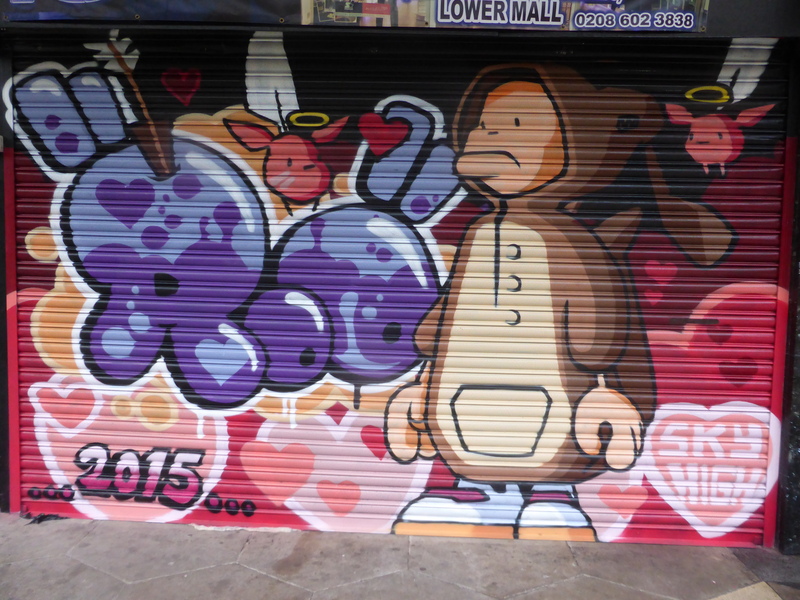 ‘Love’ by visiting New York artist Juseone. 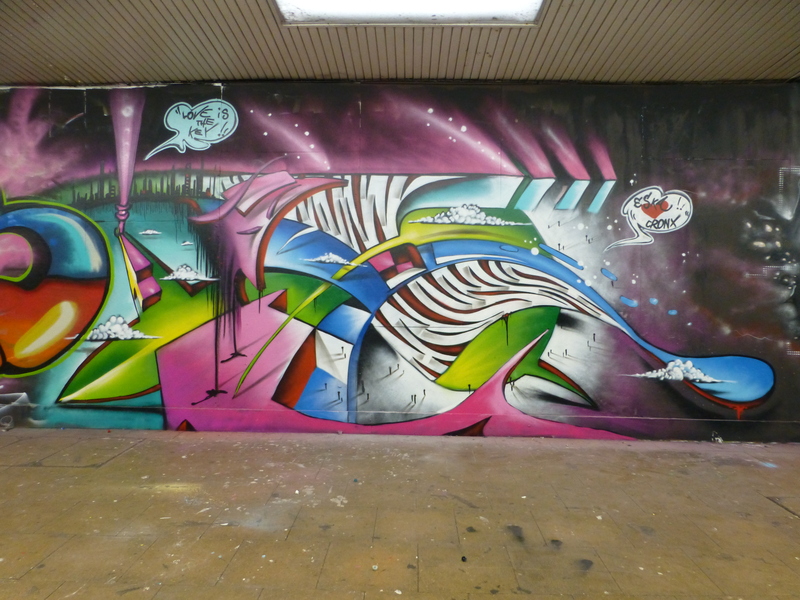 Work by Mr Cenz. 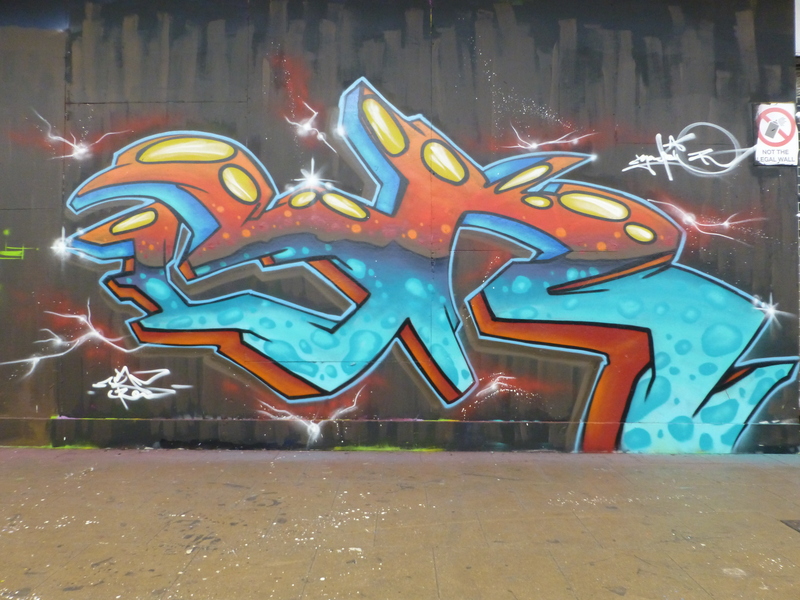 You can view the post we did on this work (covered here). 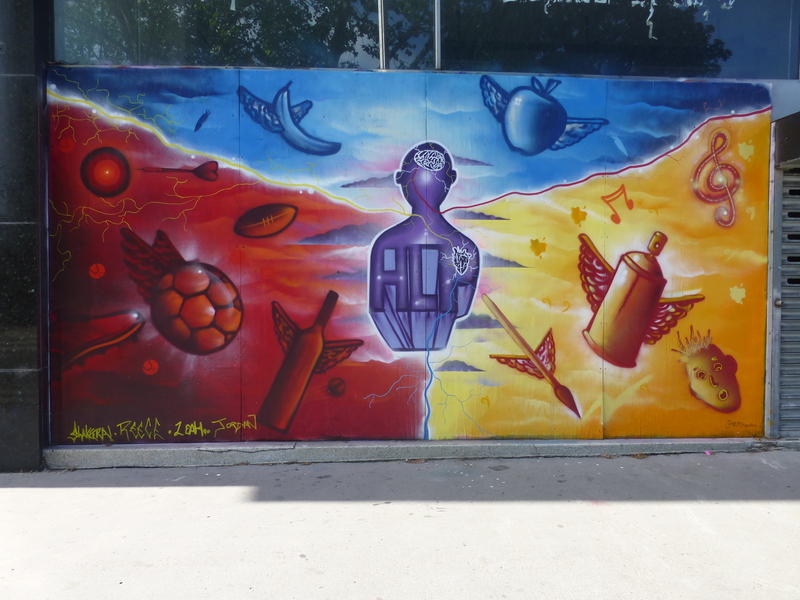 Work by Samer on the Legal Walls in Queens Park. 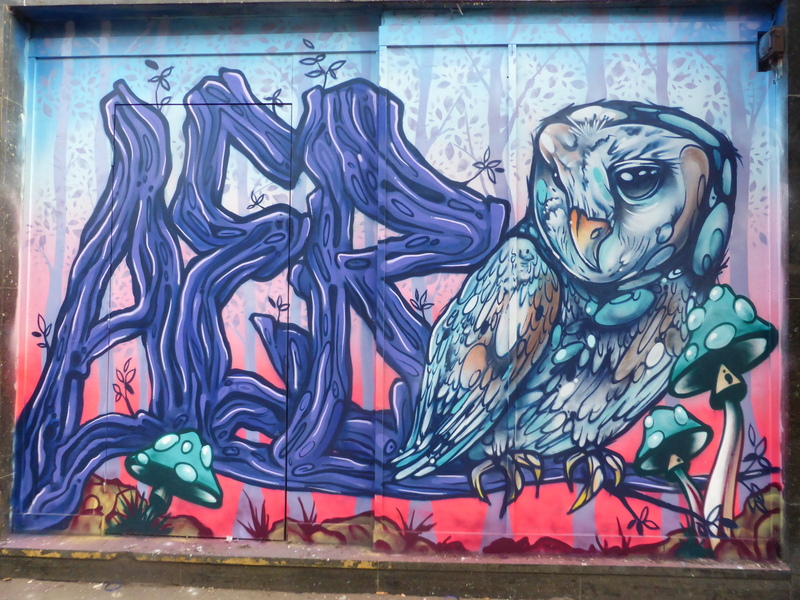 Work by New Art Rioter on the Legal Walls in Queens Park. 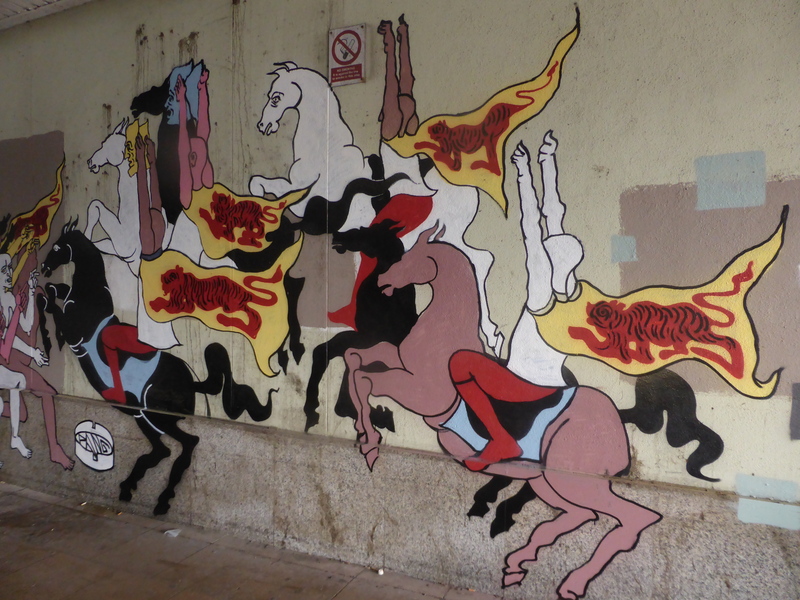 Thank you so much for including my work – so honoured to be amongst some of the great artists here! 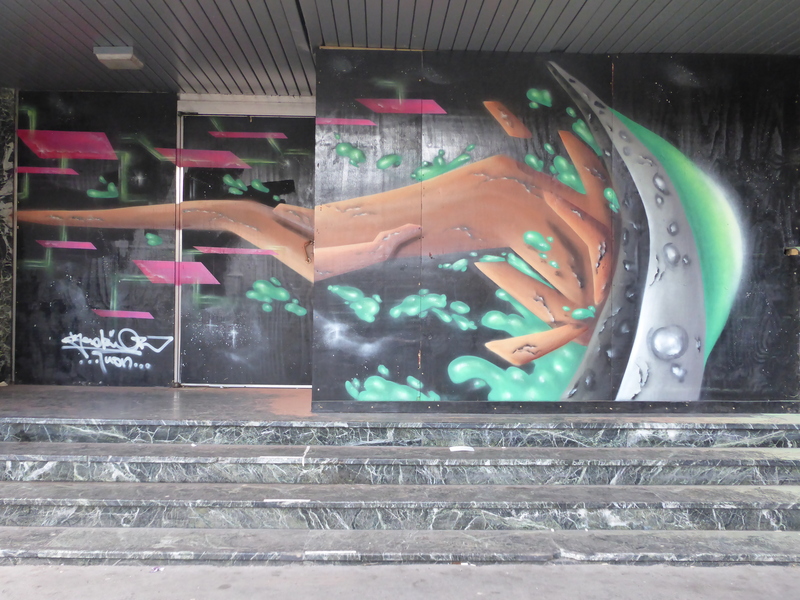 Can’t wait to see who Kevin gets next! 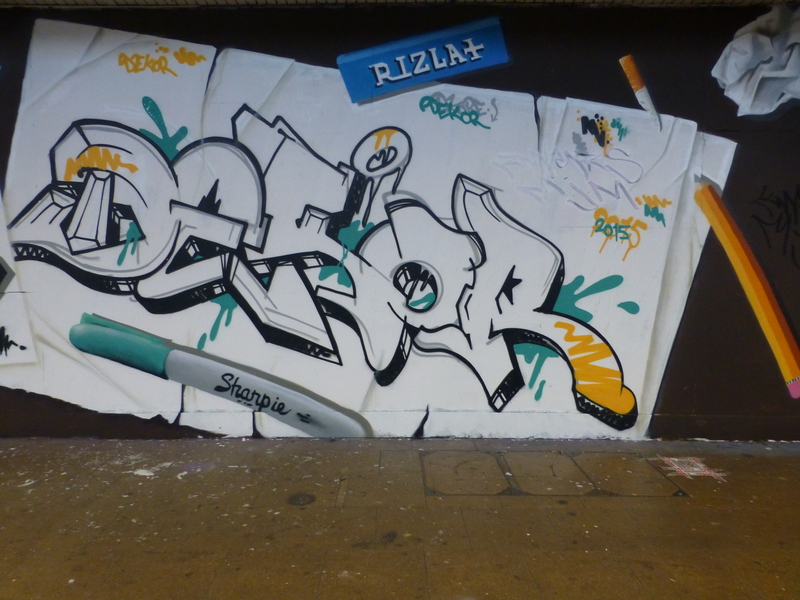 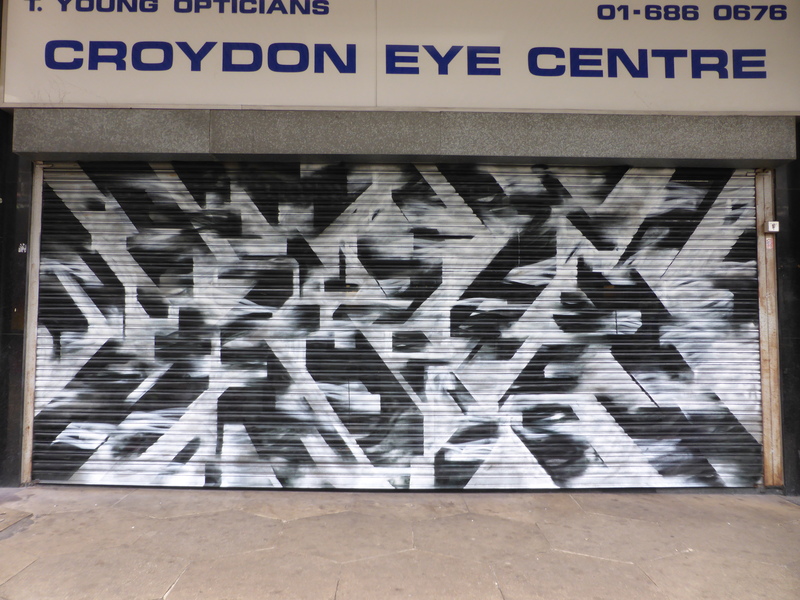 Anytime New Art Rioter, we look forward to seeing what Rise bring to Croydon in the coming months also. 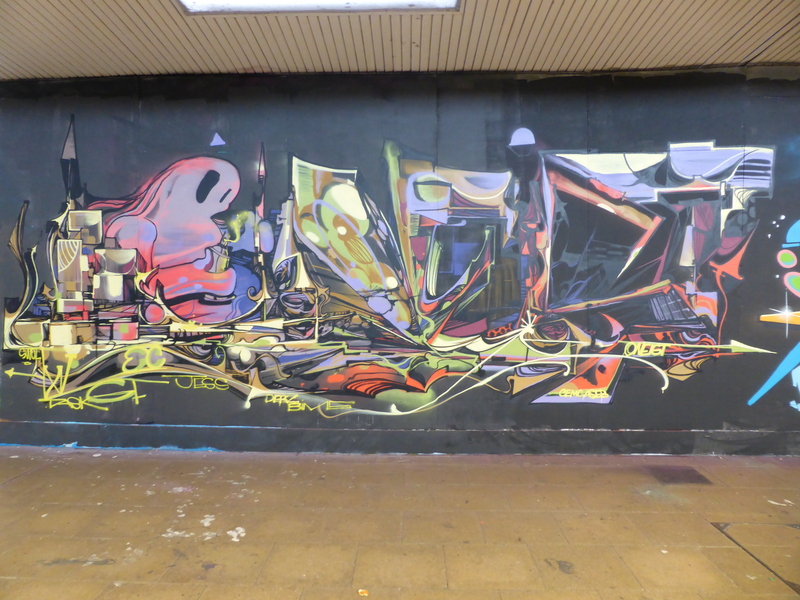 Having recently discovered the street art scene in Croydon, thanks to your posts on IG, I have really enjoyed this review which shows the extend and quality of the works of art . 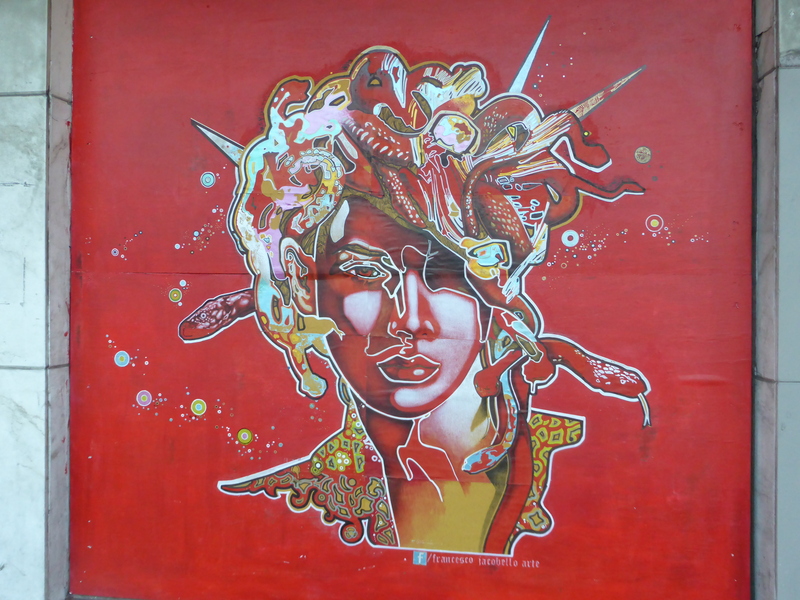 My favourite was Francesco Jacobello Medusa piece,a stunning work. 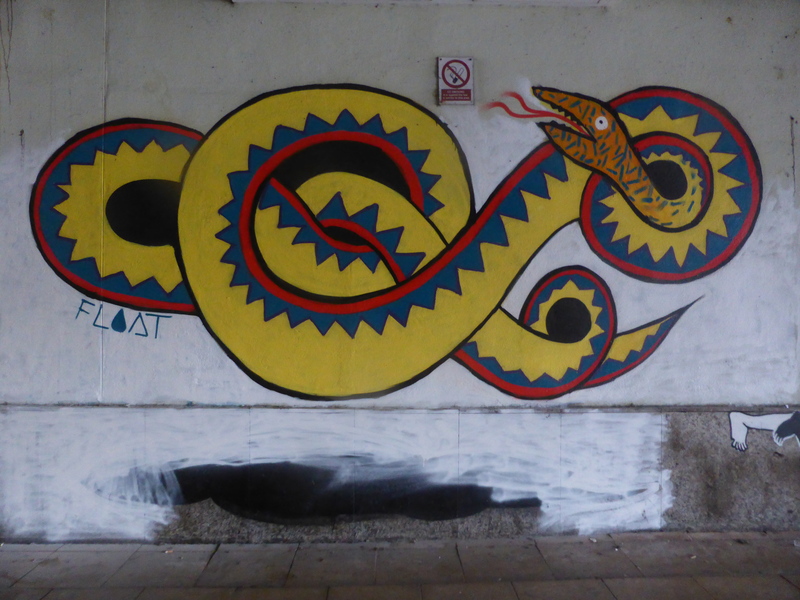 It’s great to see that street art is developing outside centre London. 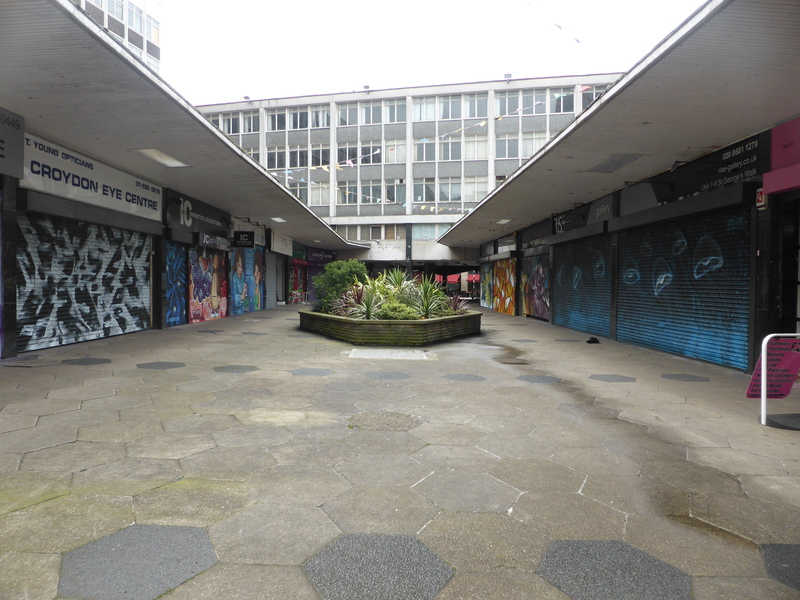 Firstly we are glad that us sharing pictures on Instagram has led to people going to witness the lovely transformation Croydon is undergoing. 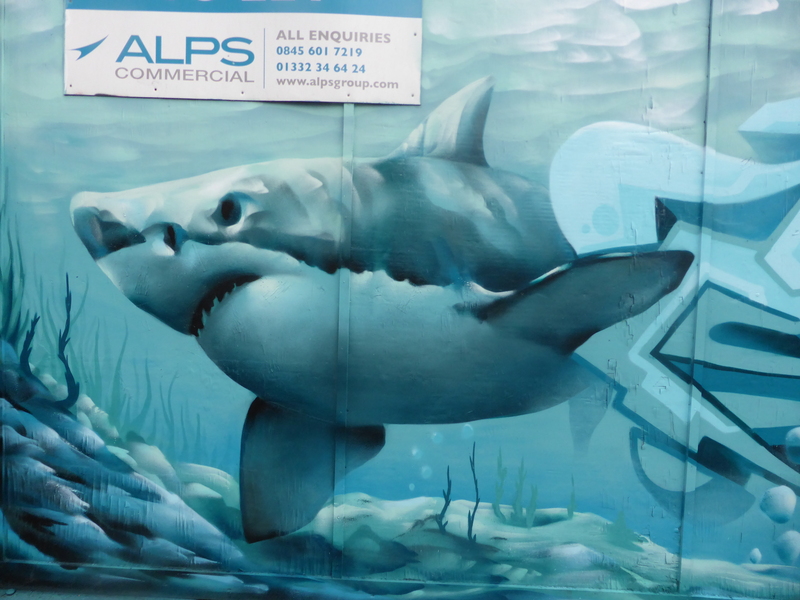 Secondly we are glad you enjoyed the review. 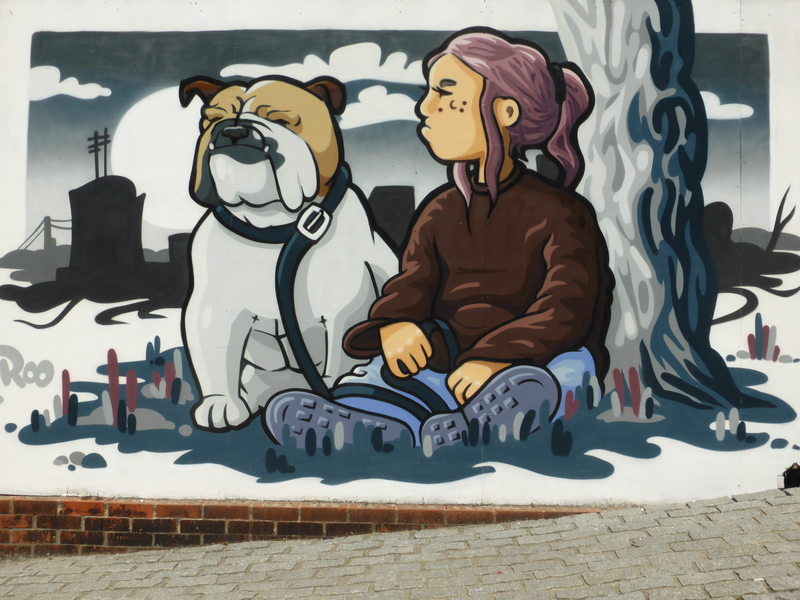 Thirdly very good choice with the Francesco Jacobello work, that is a lovely piece and illustrates what we meant in the post by Croydon has introduced to great artists, of whom we have yet to see work by anywhere else as of yet. 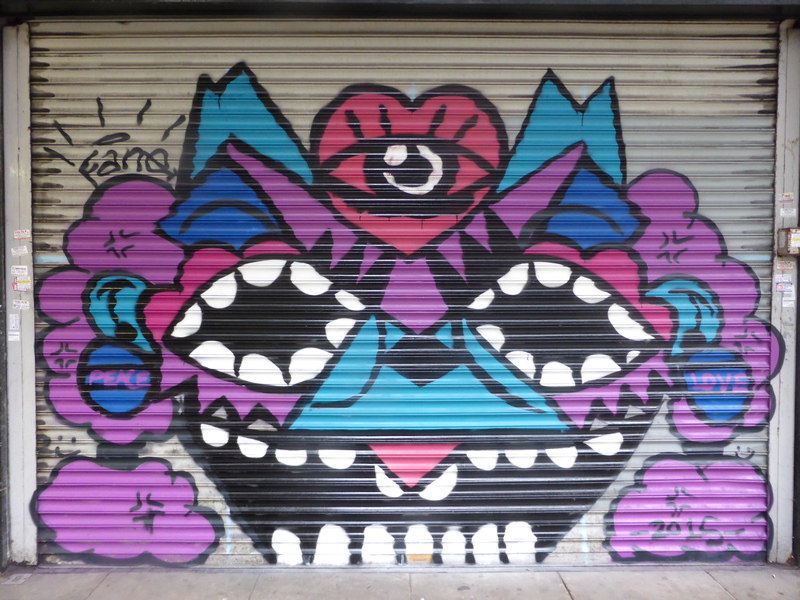 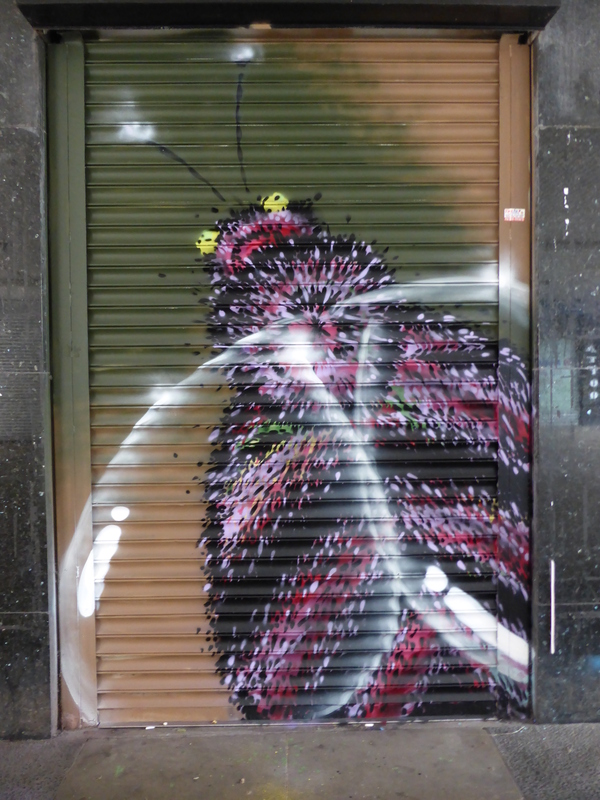 We can only hope this trend of Street Art becoming more widespread continues. 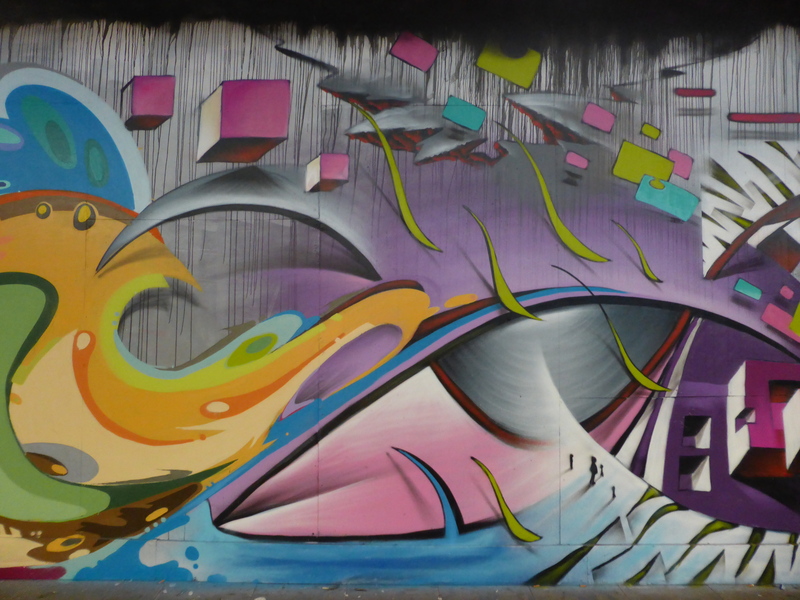 Thanks Emmanuelle.